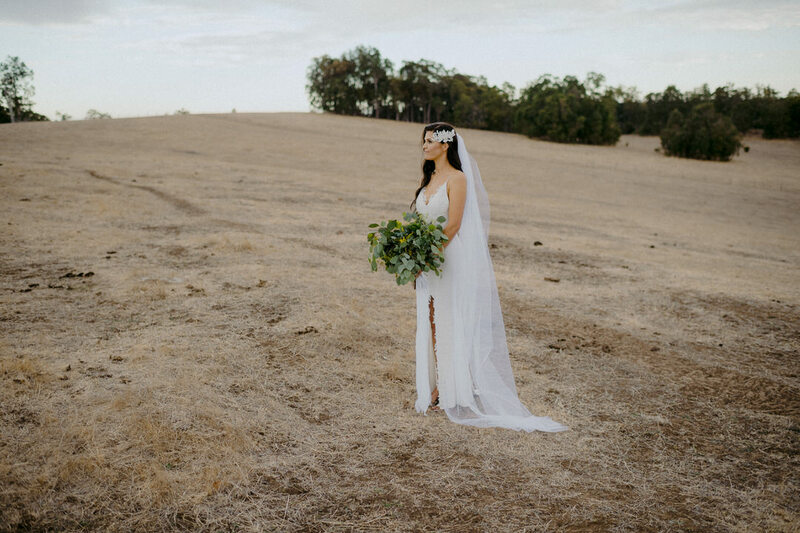 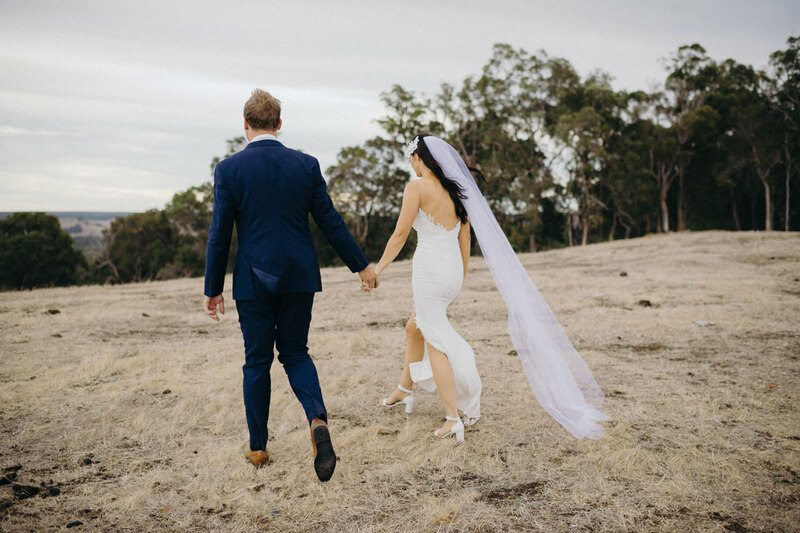 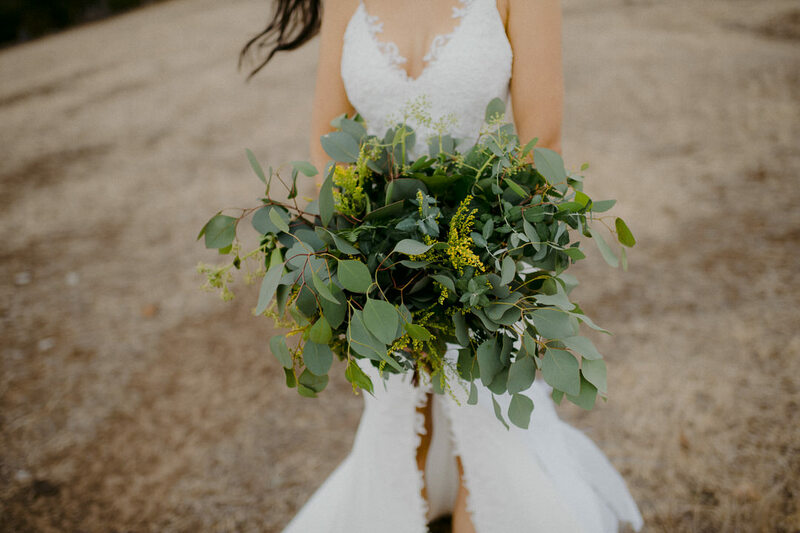 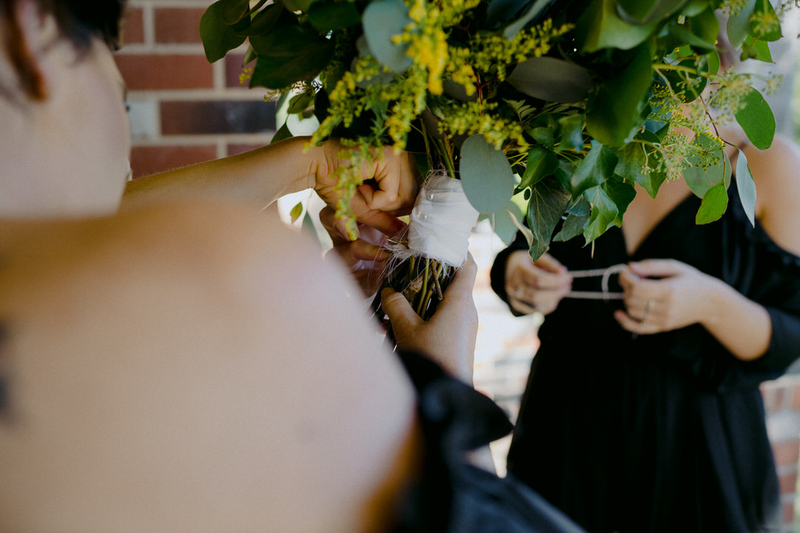 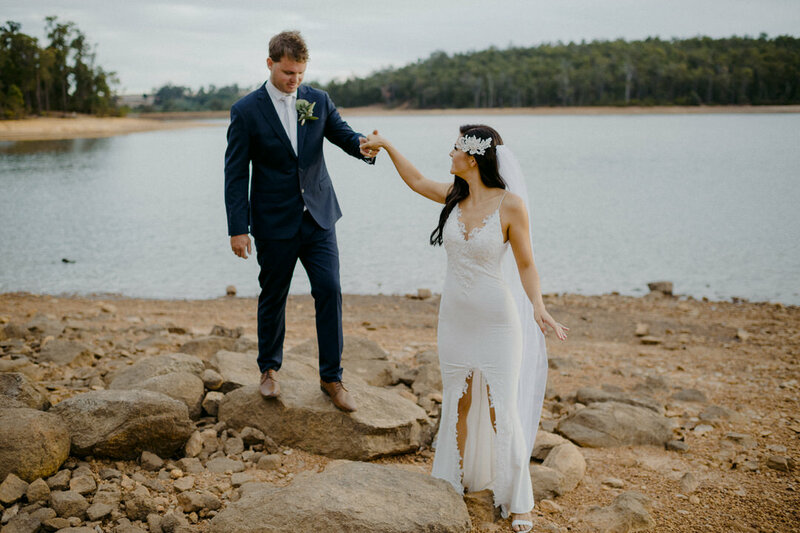 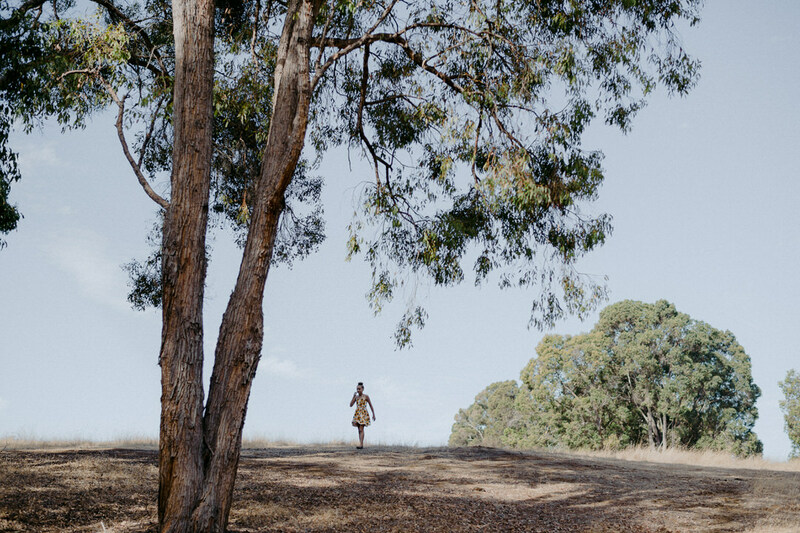 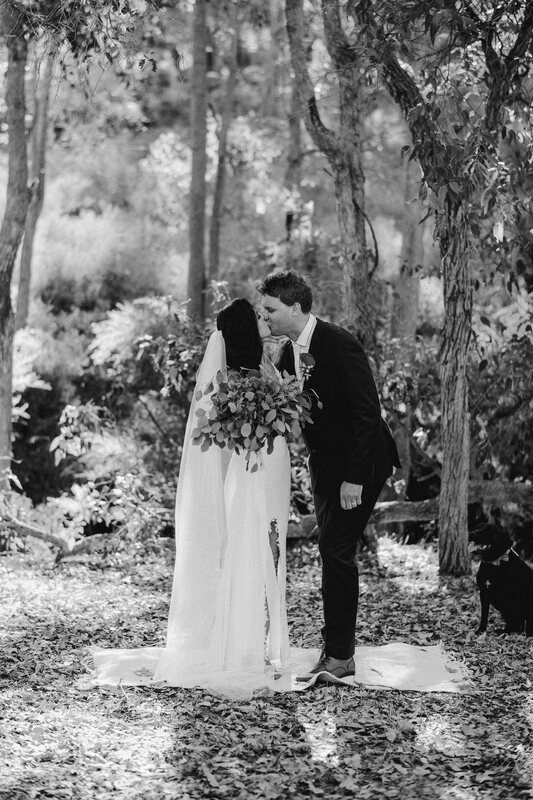 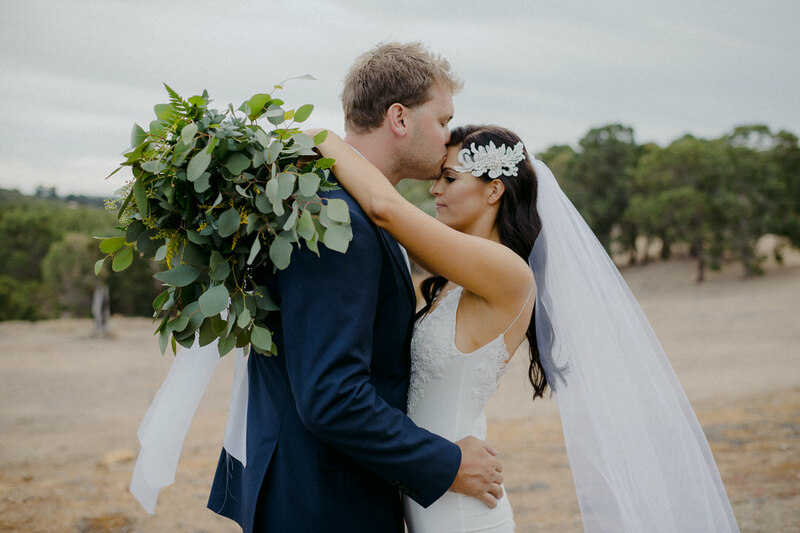 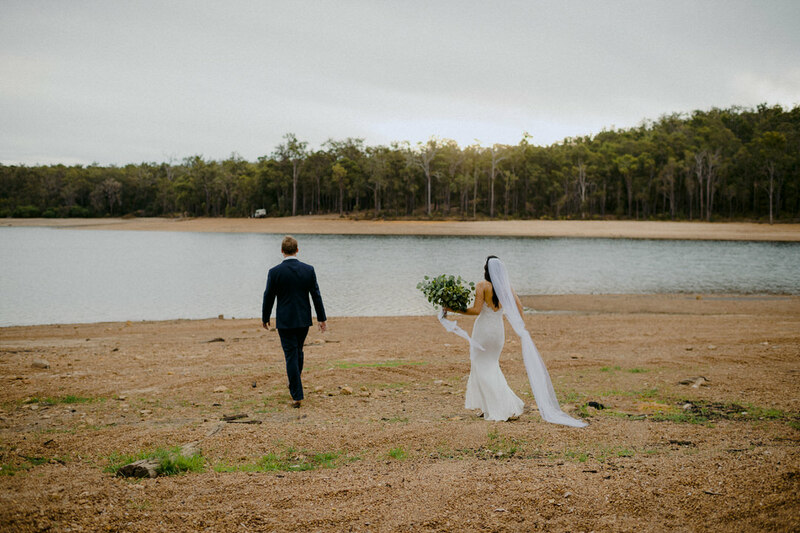 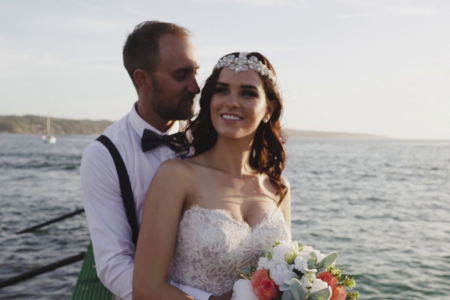 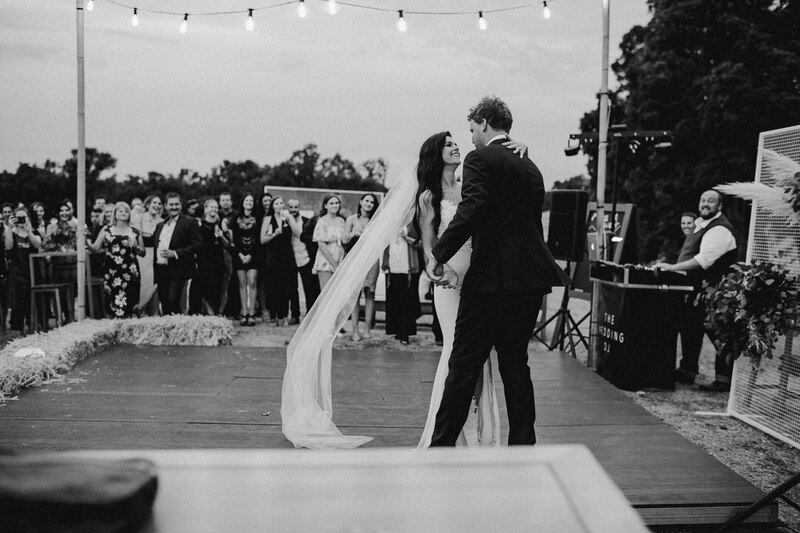 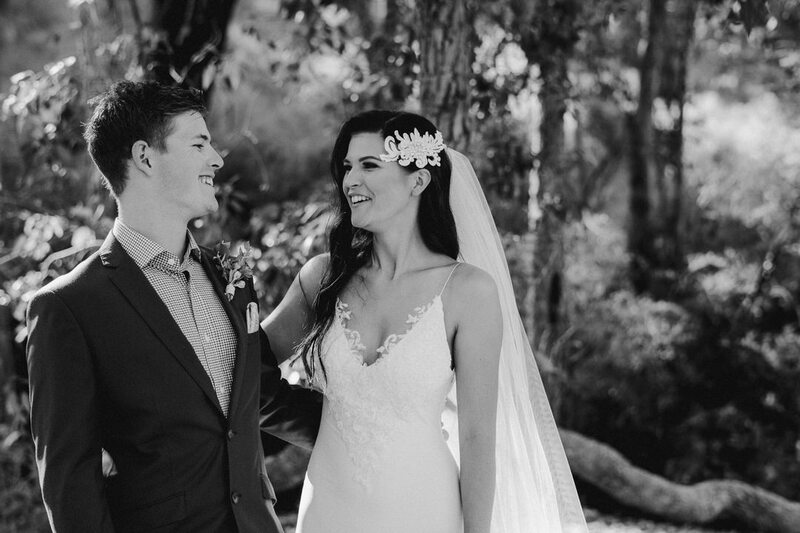 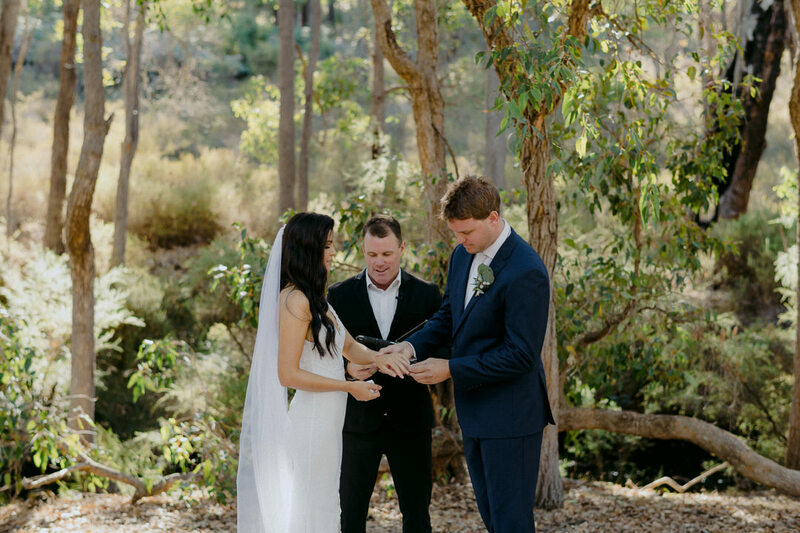 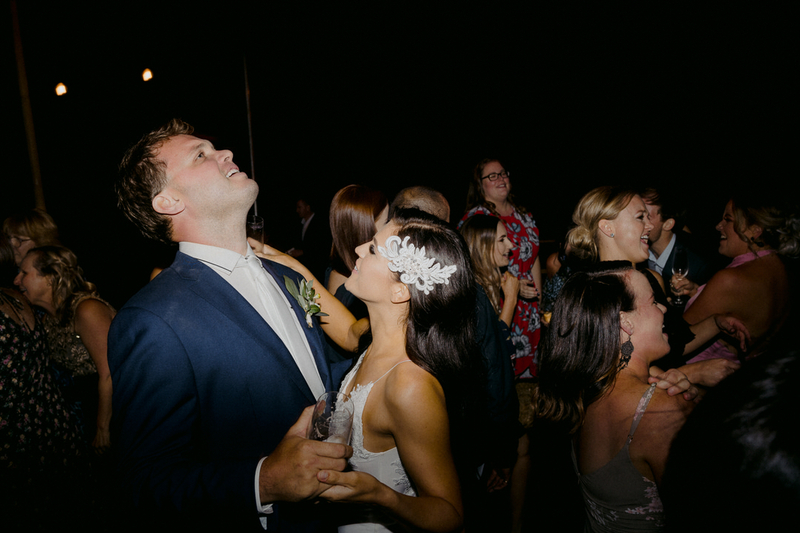 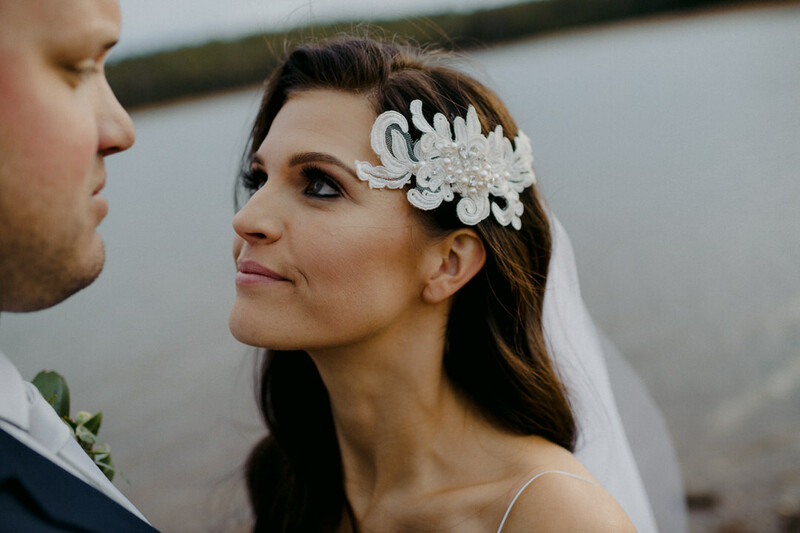 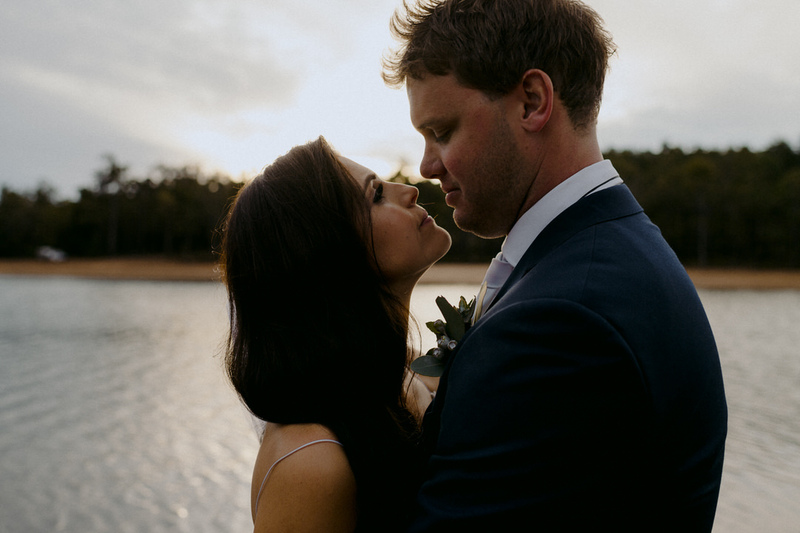 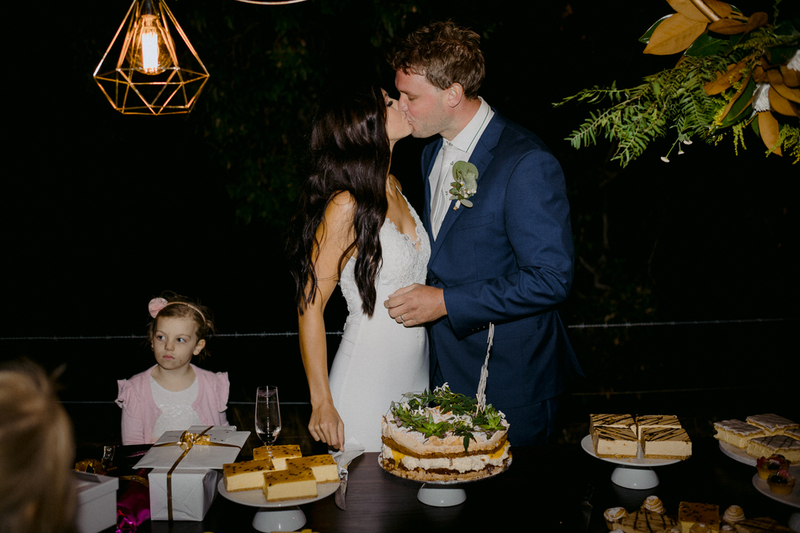 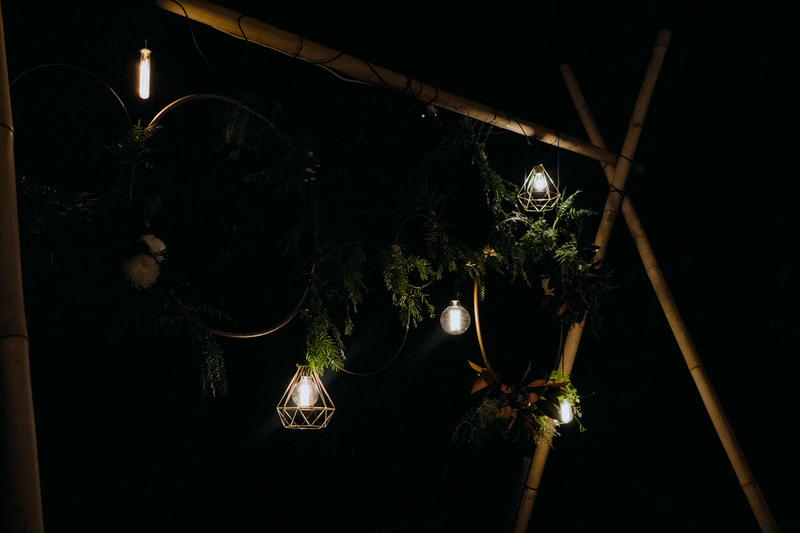 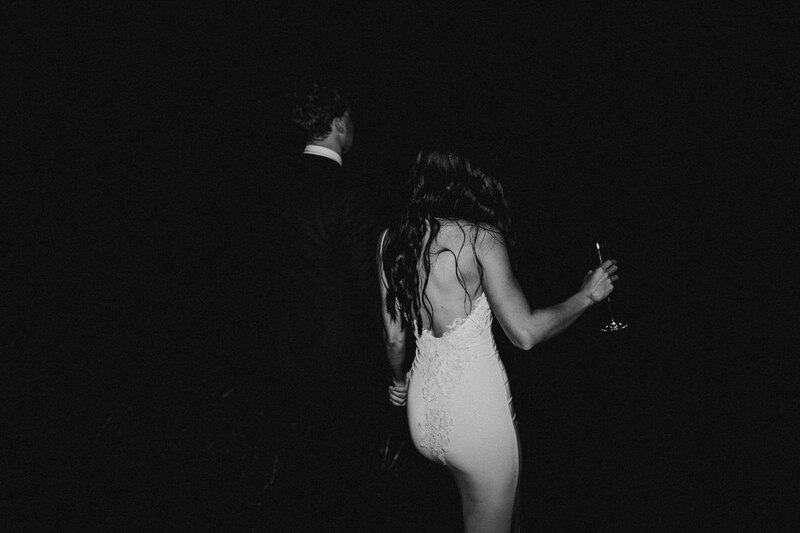 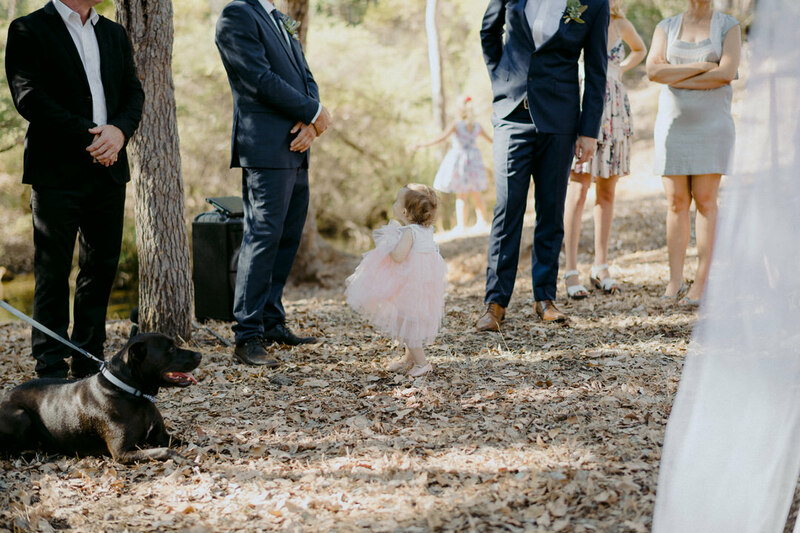 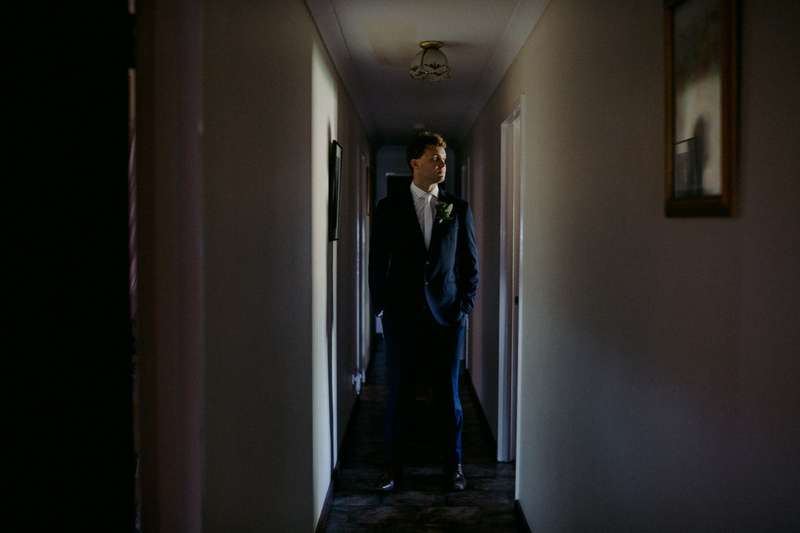 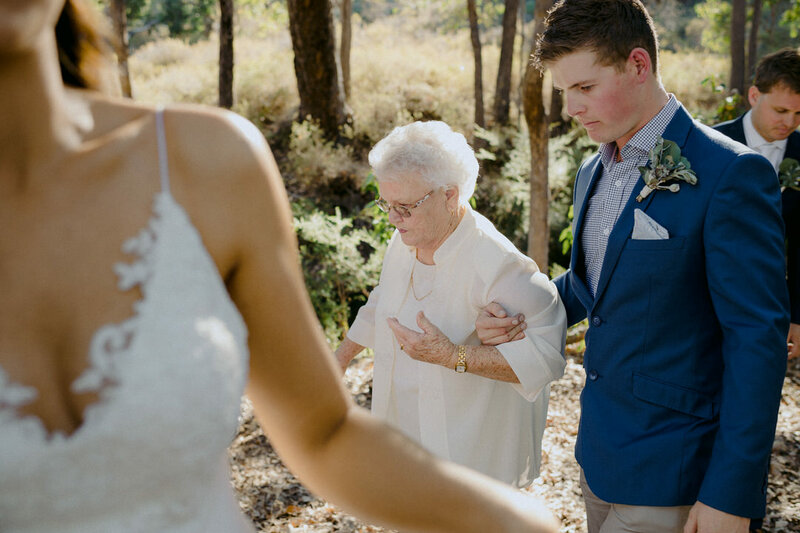 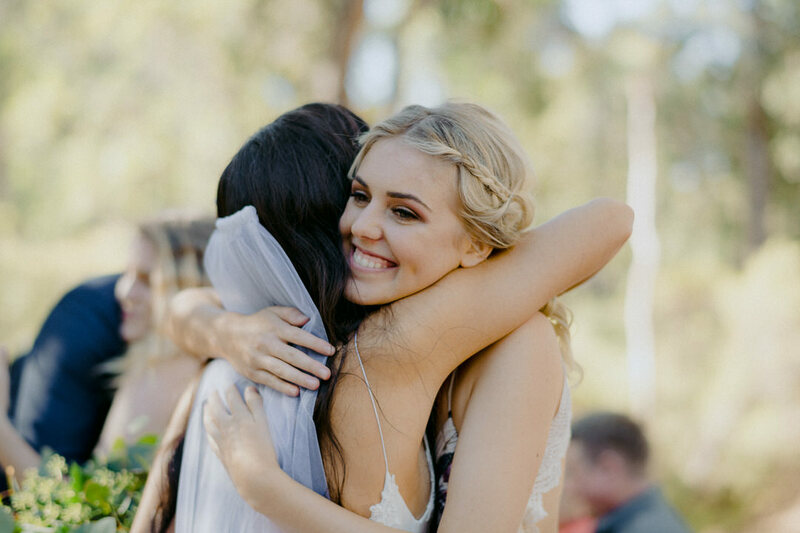 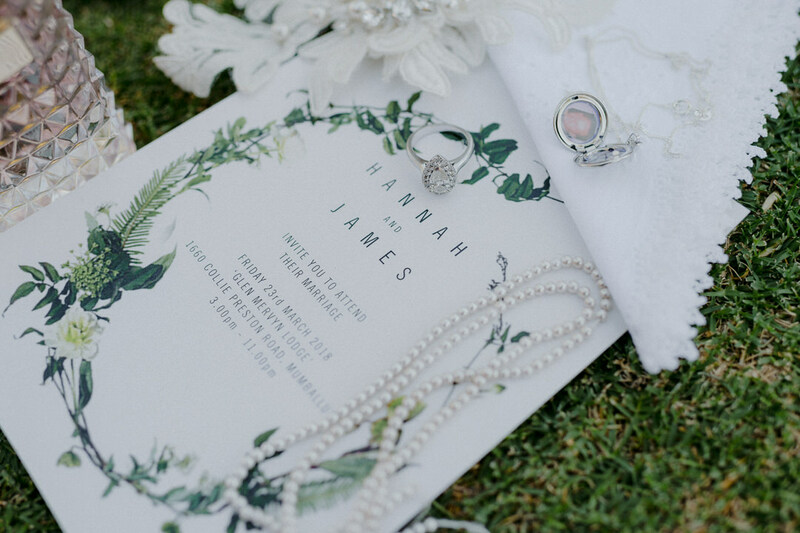 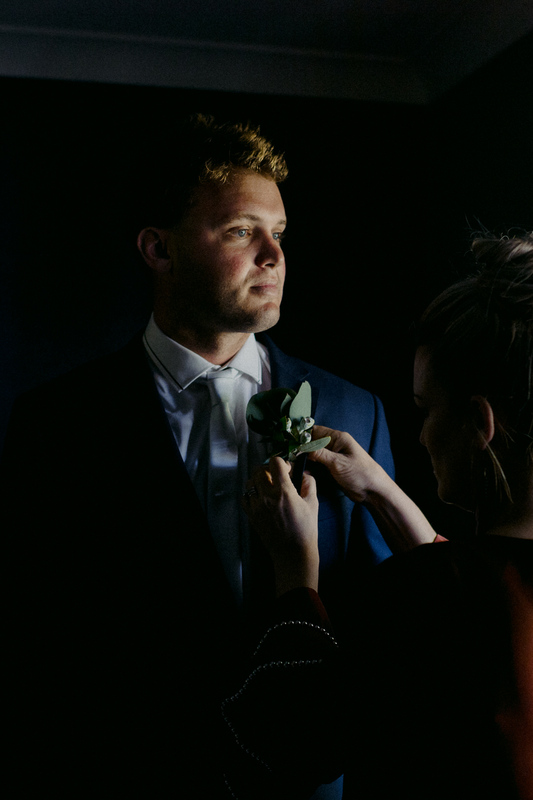 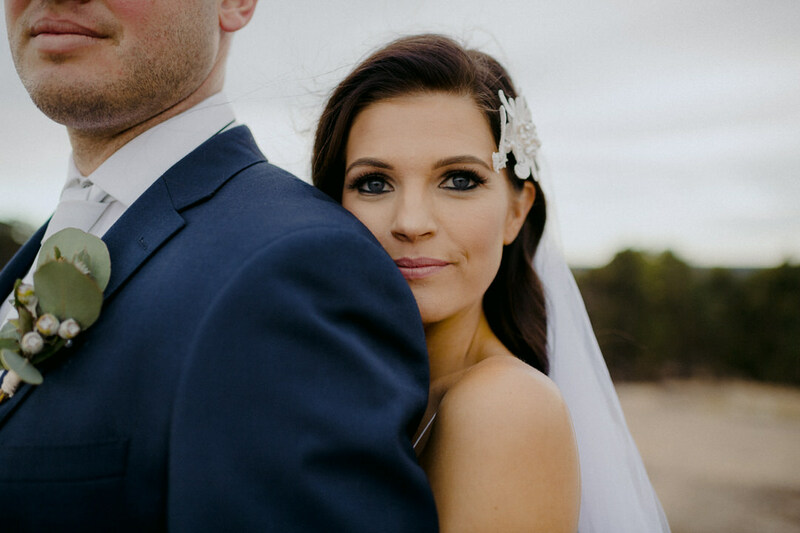 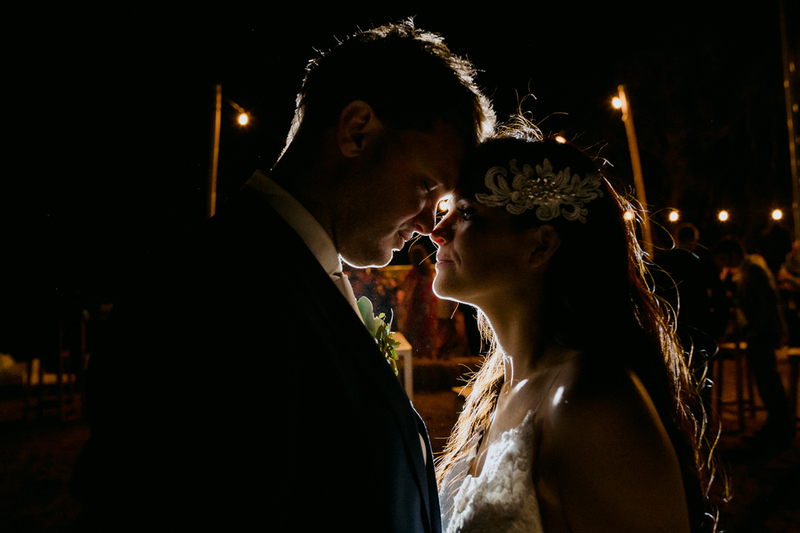 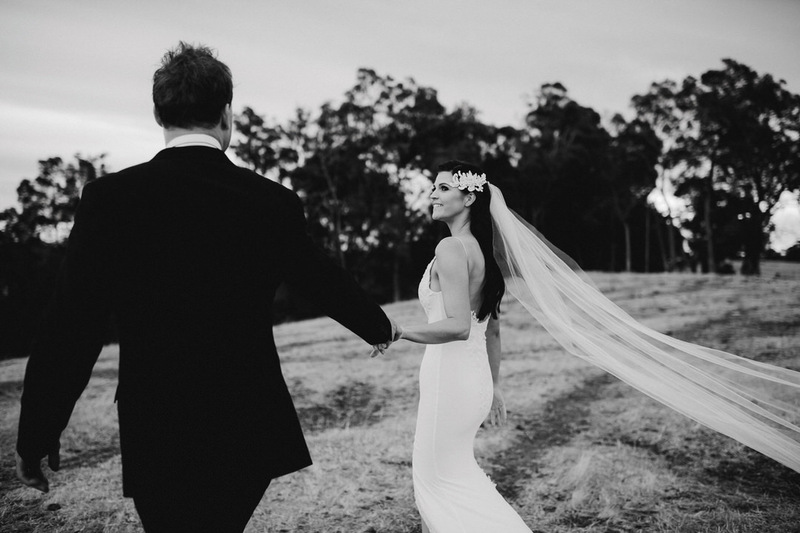 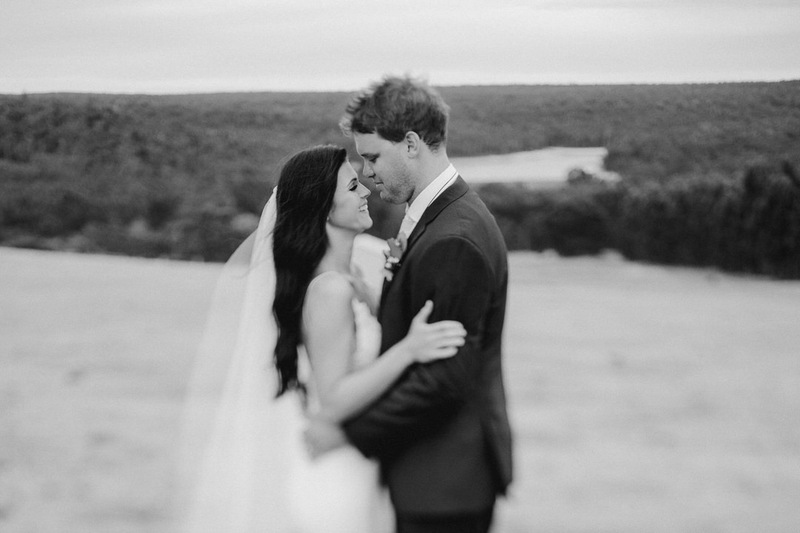 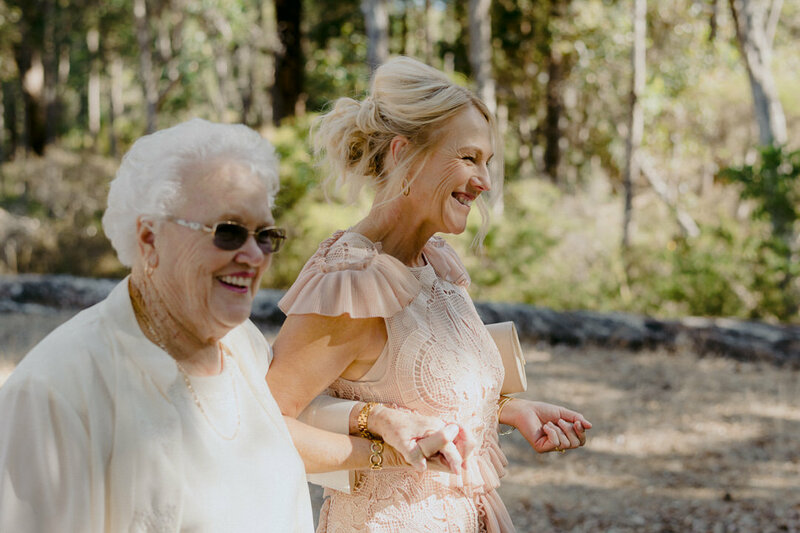 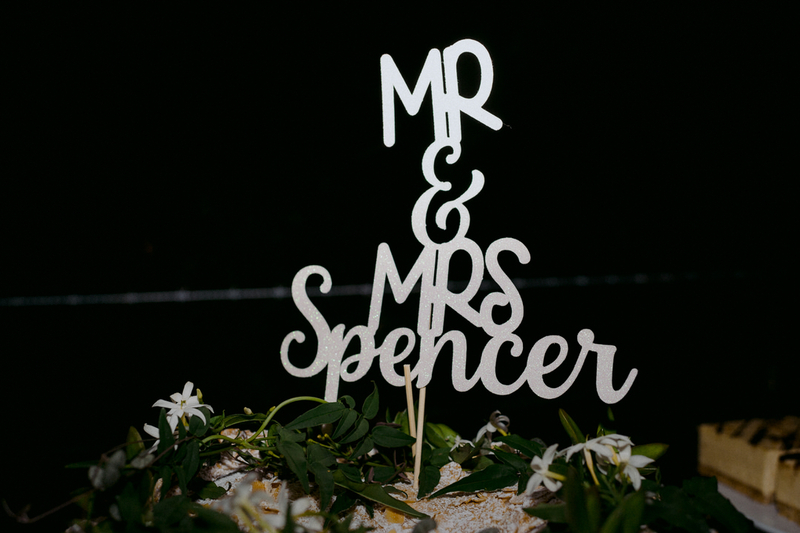 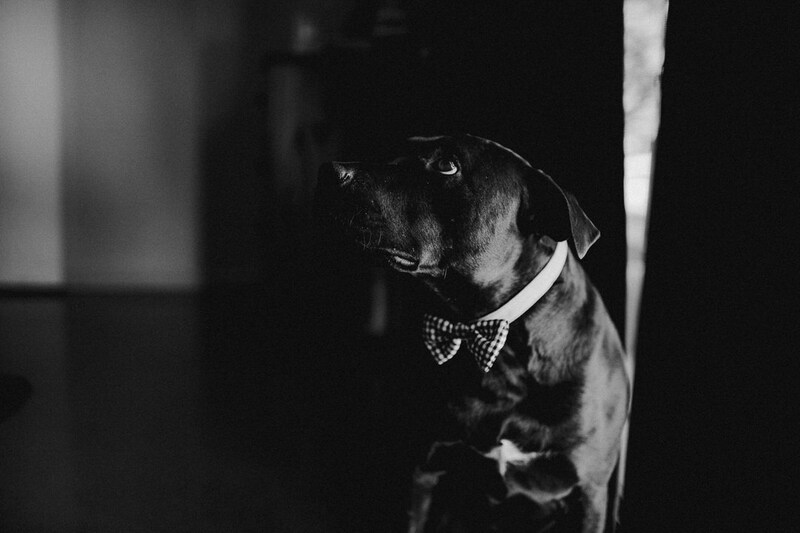 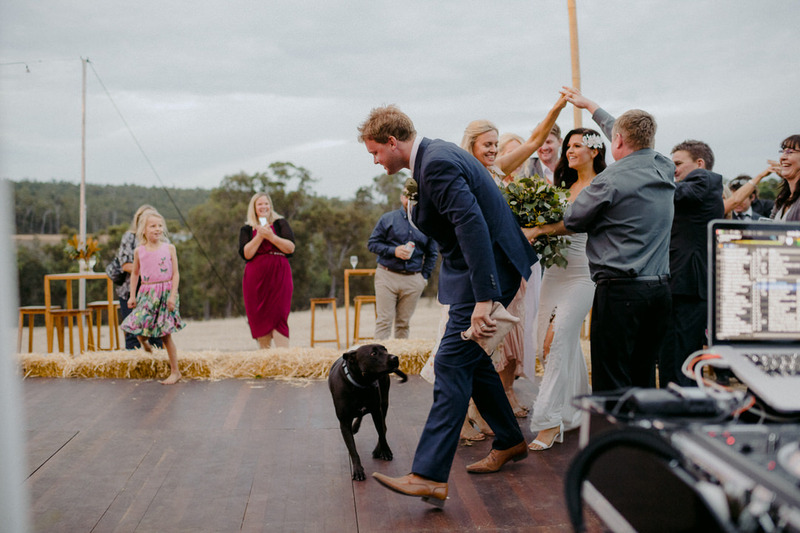 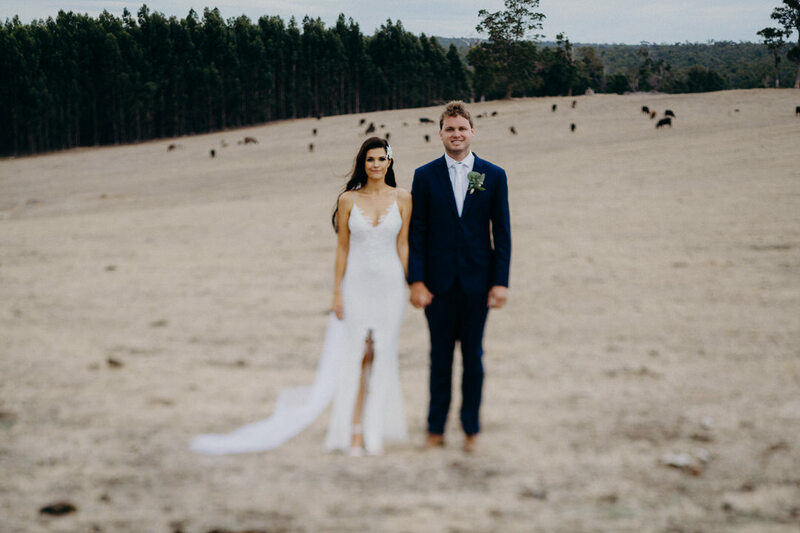 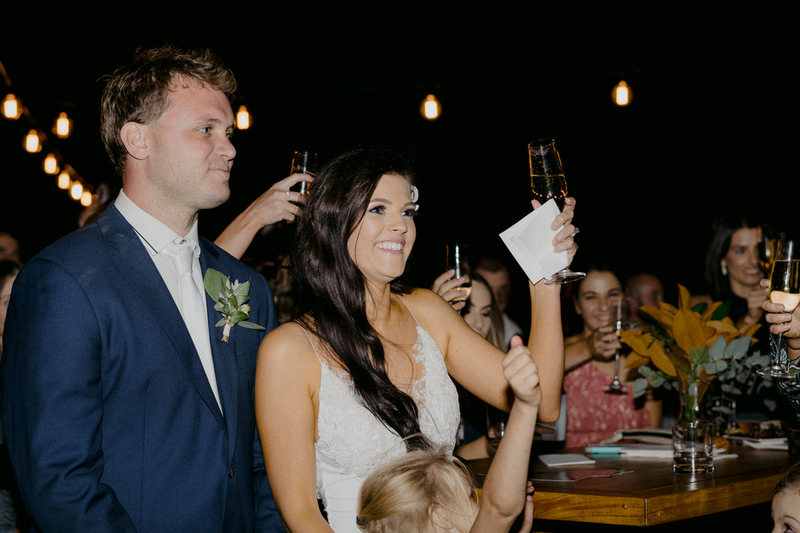 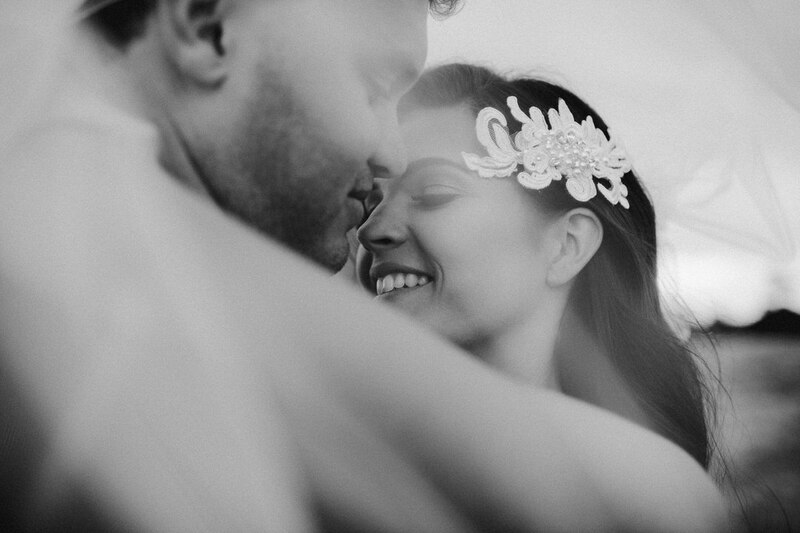 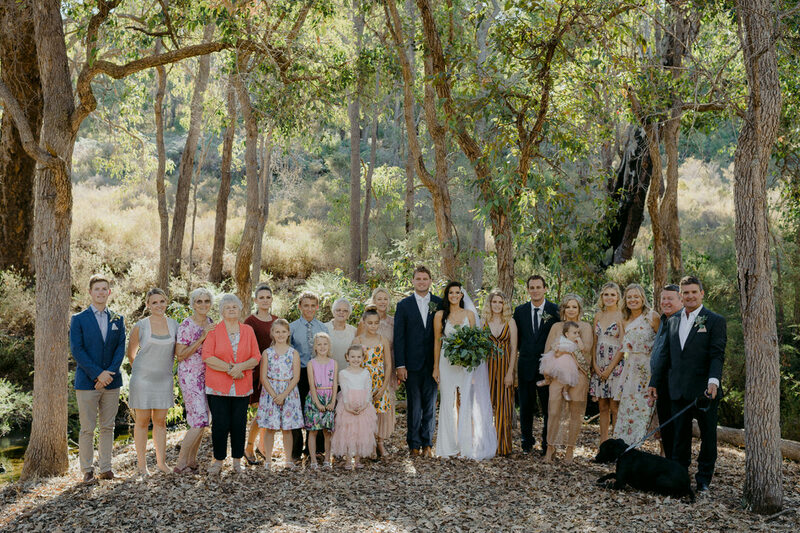 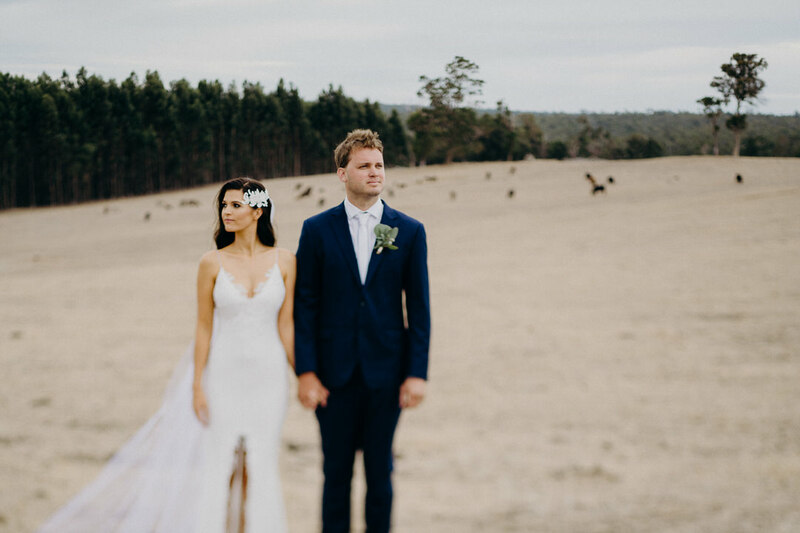 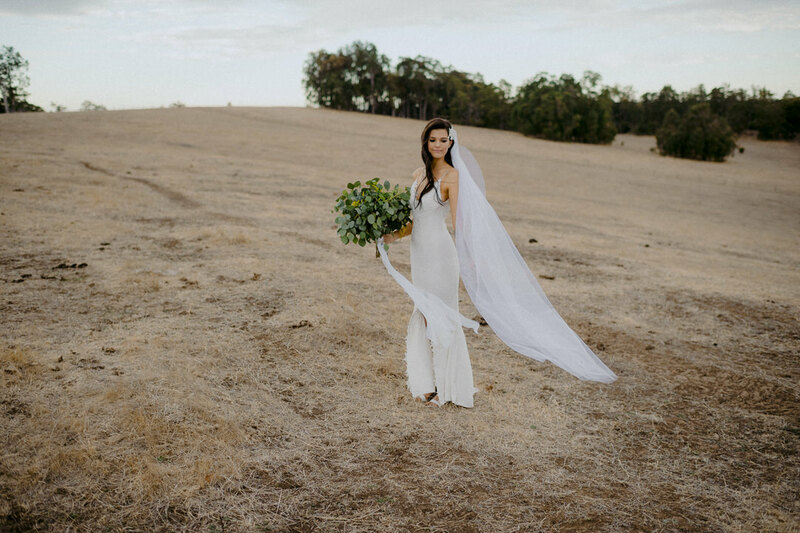 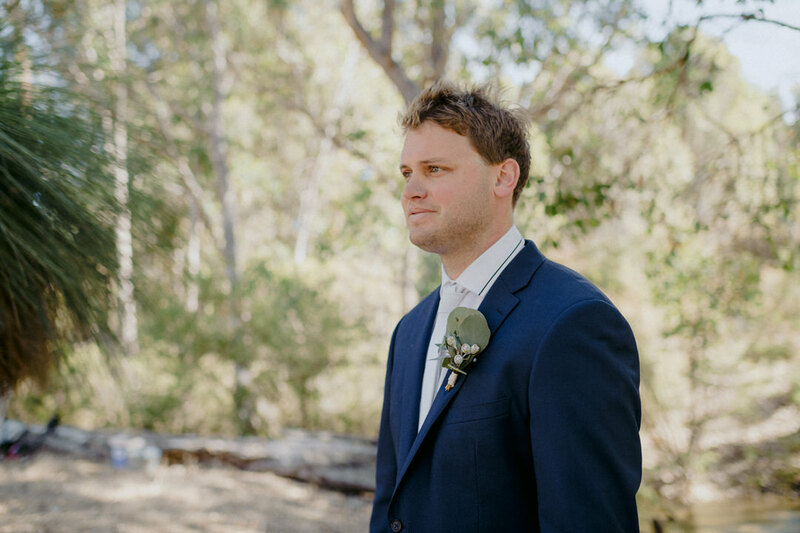 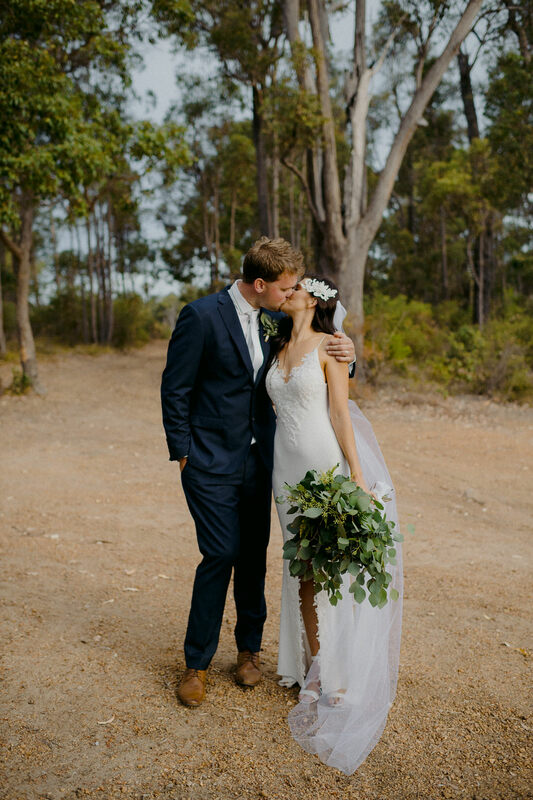 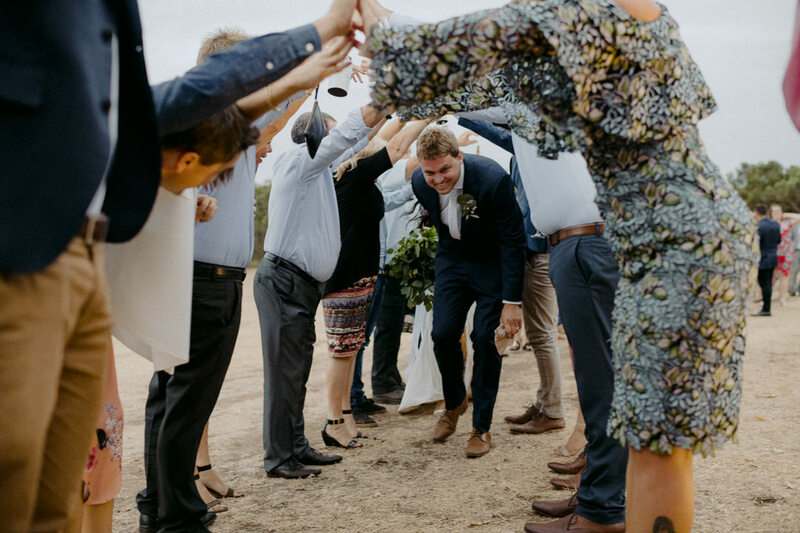 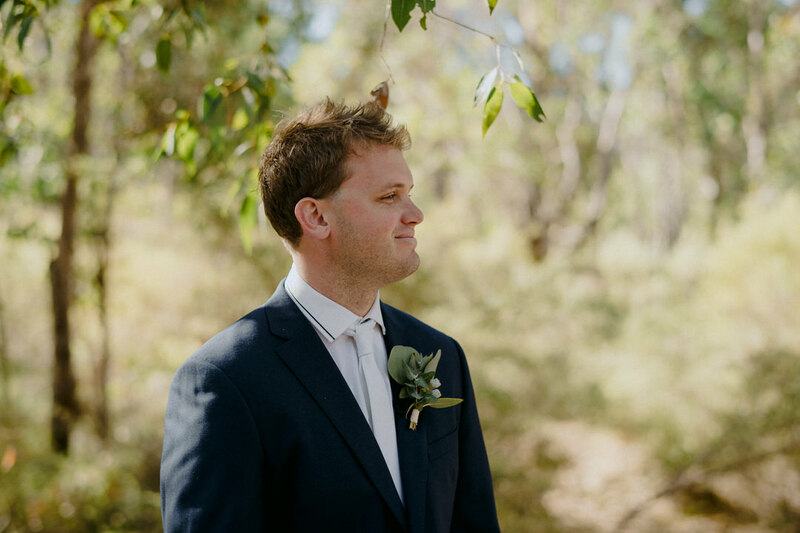 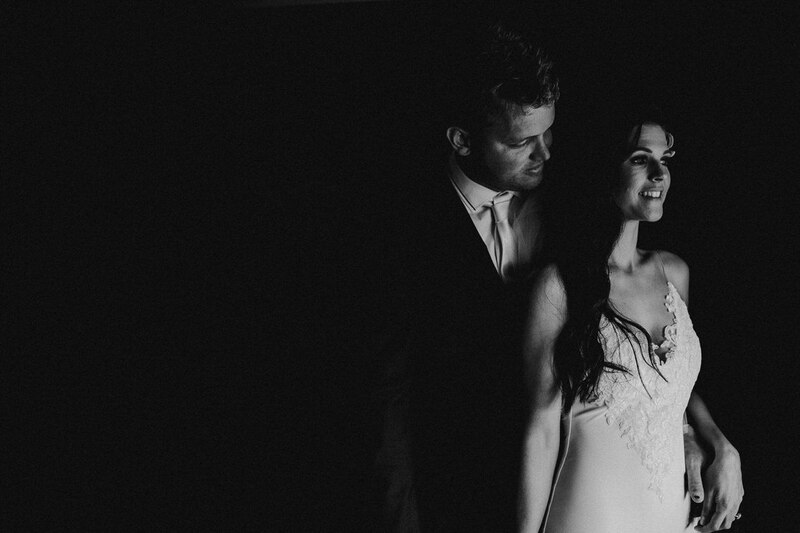 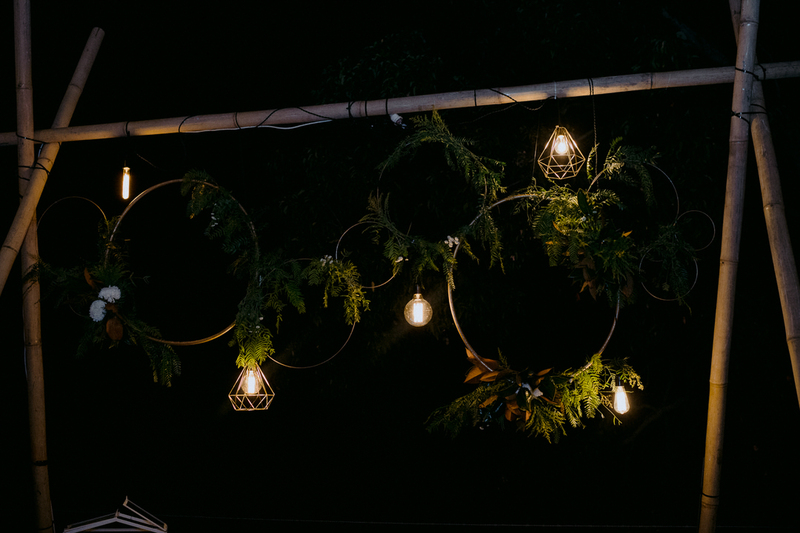 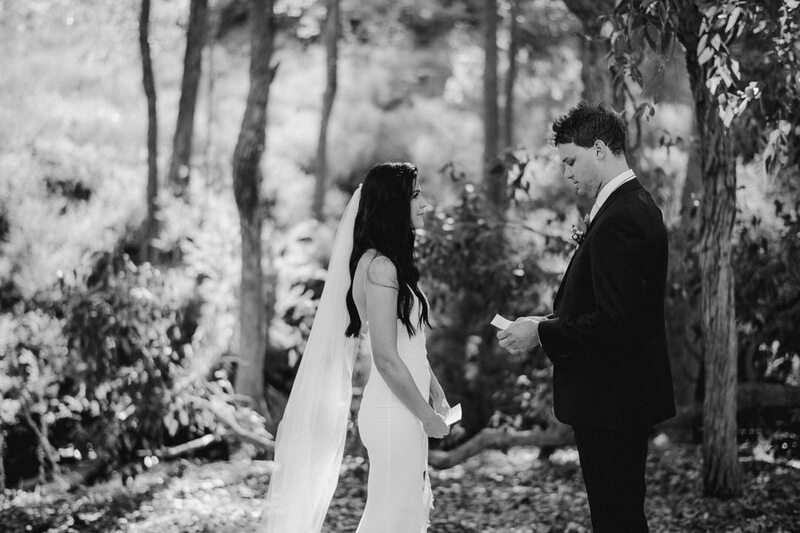 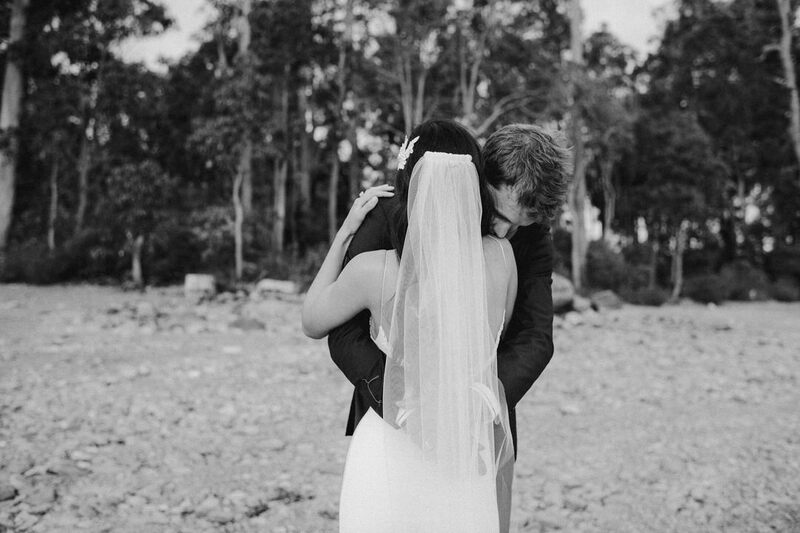 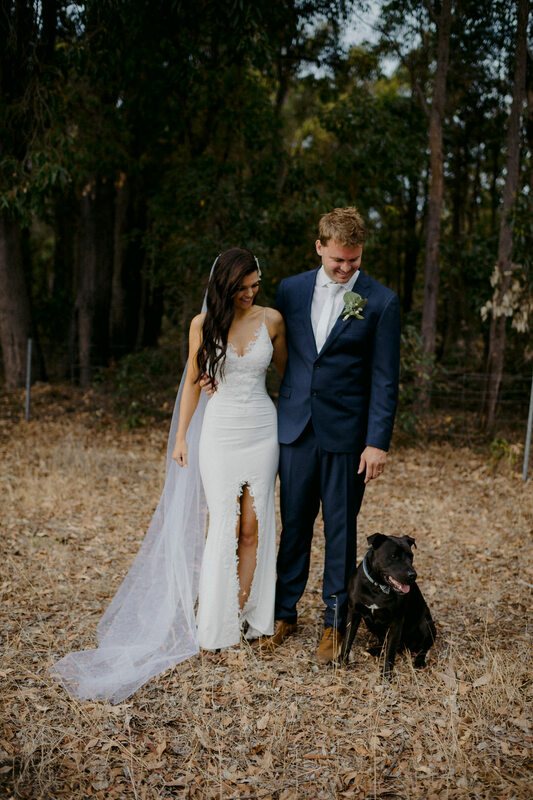 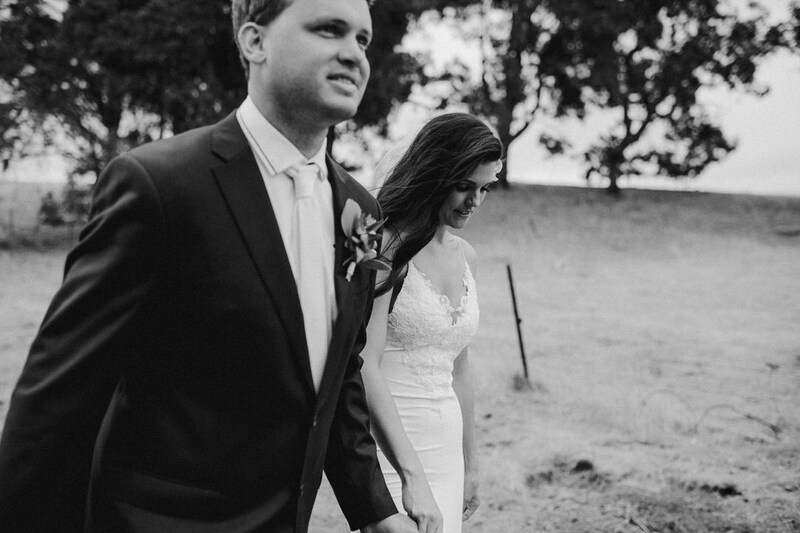 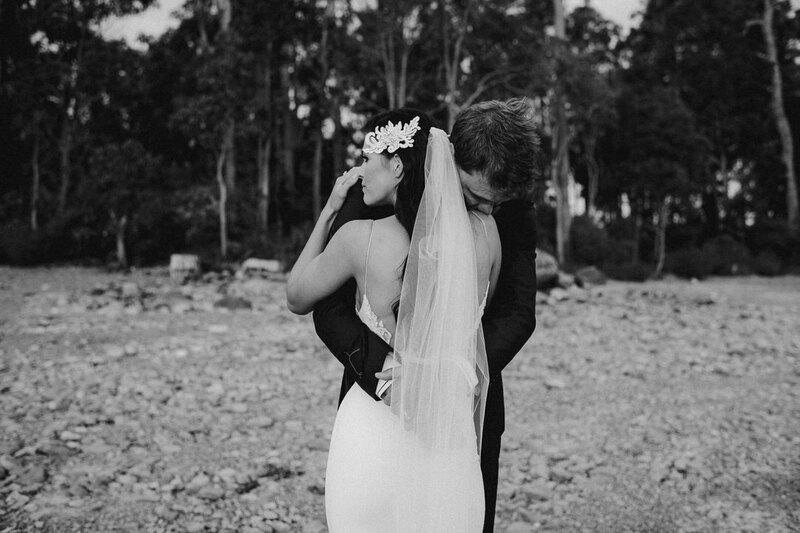 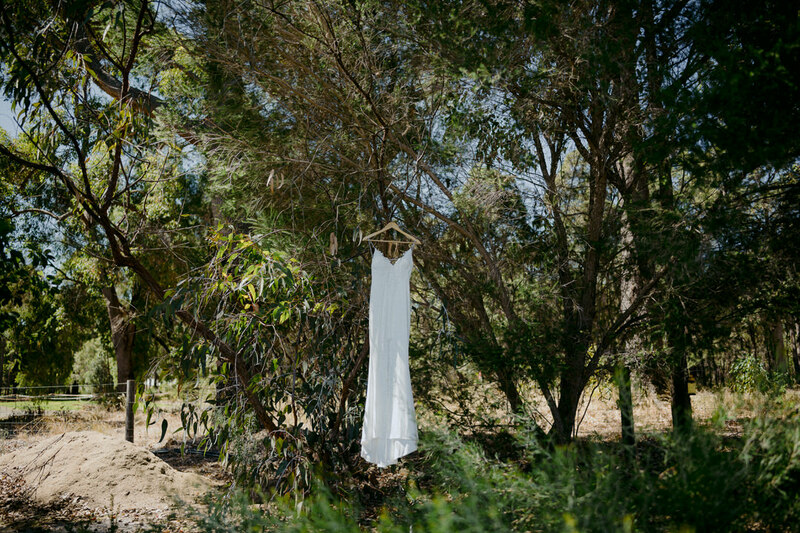 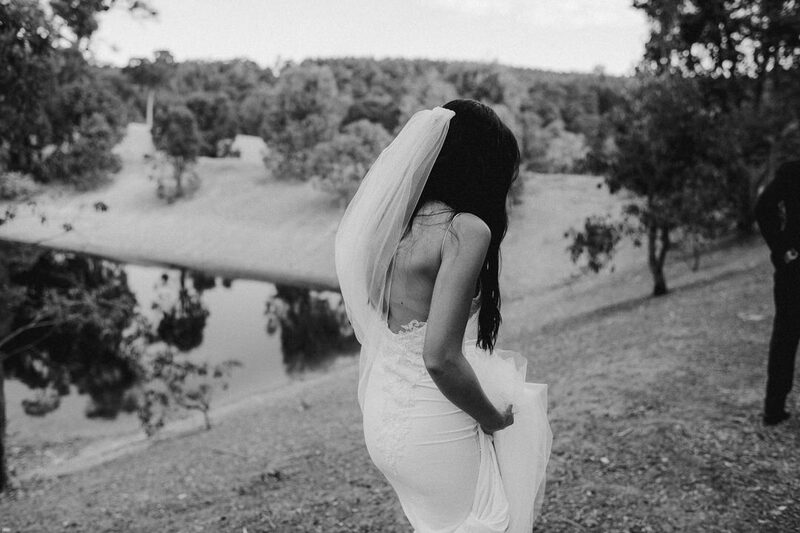 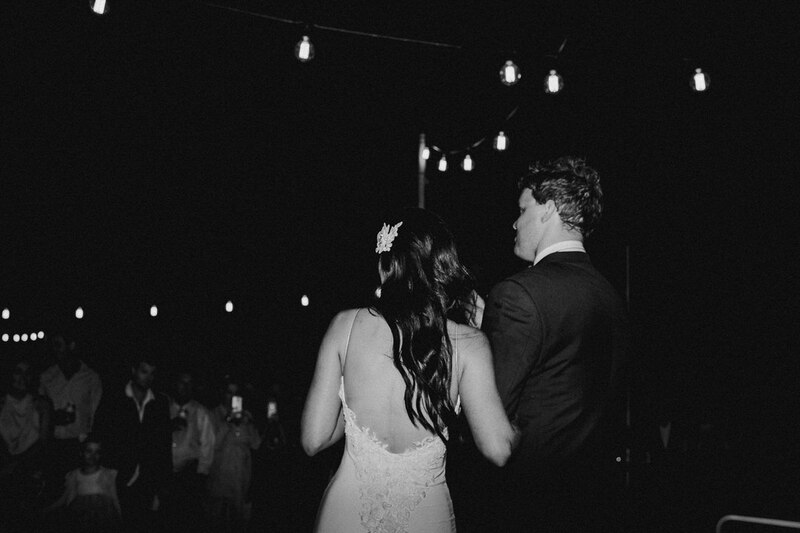 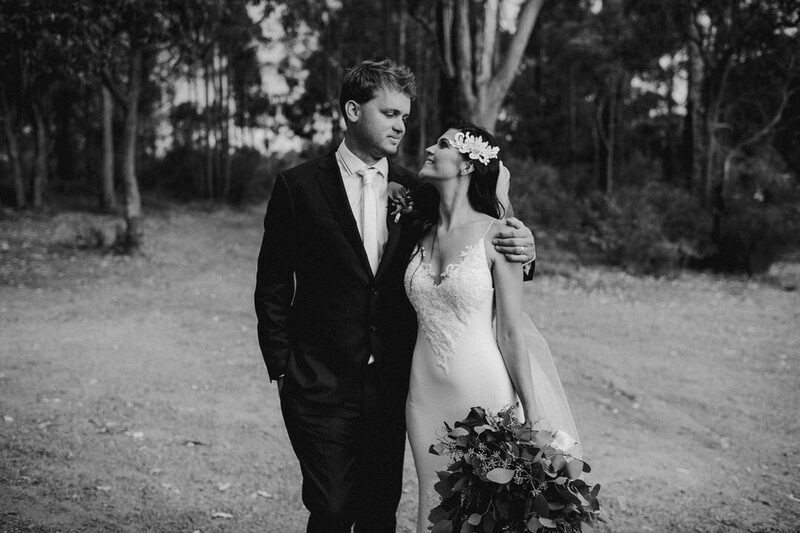 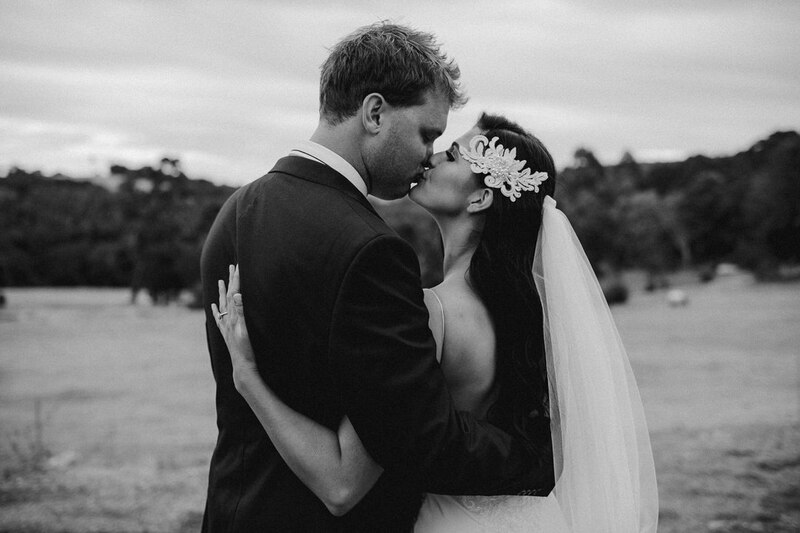 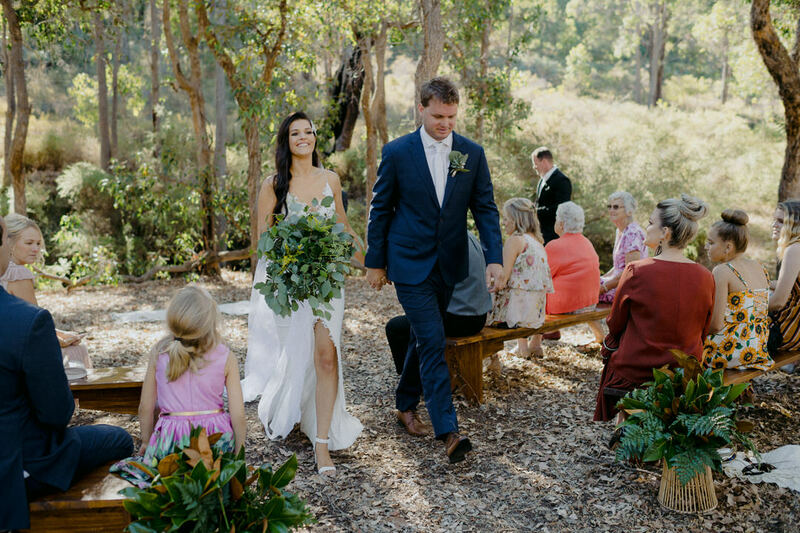 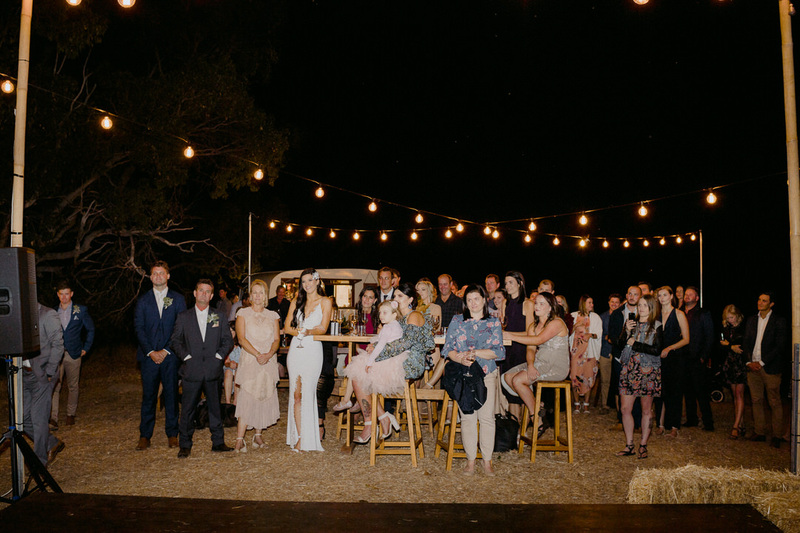 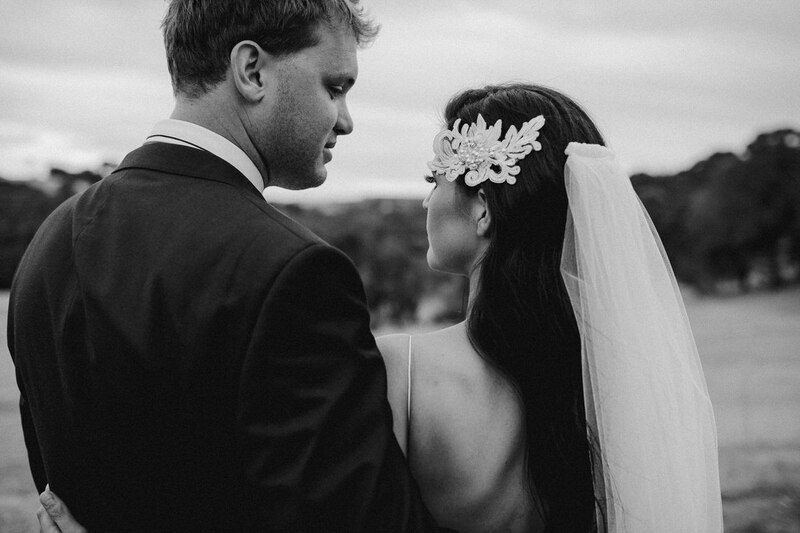 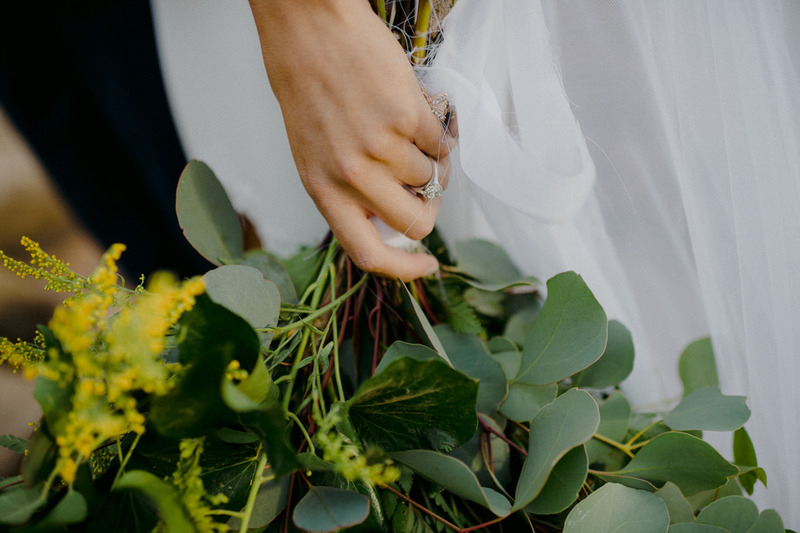 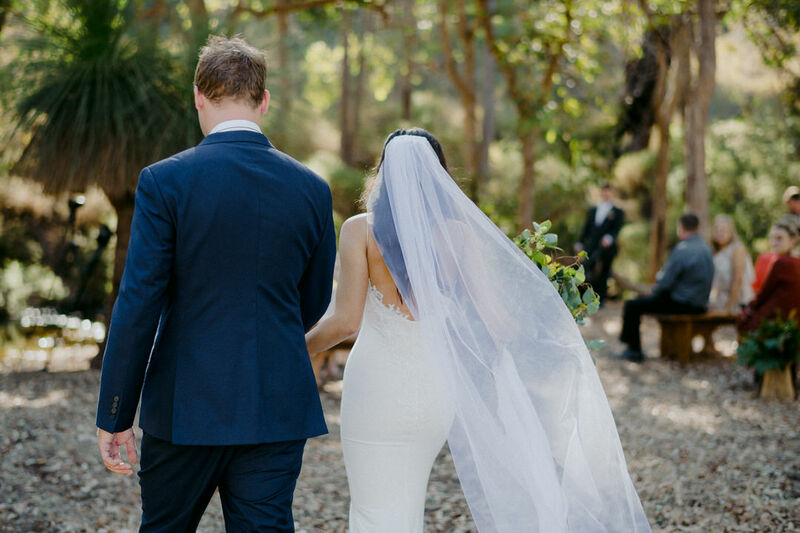 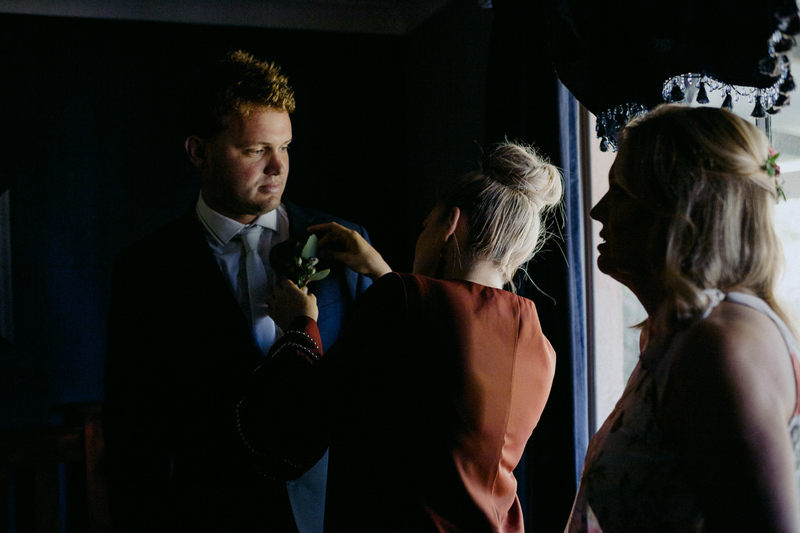 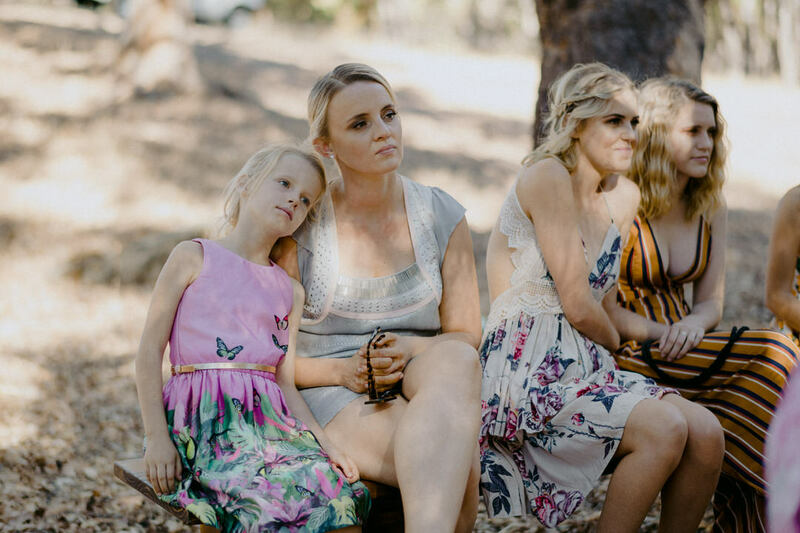 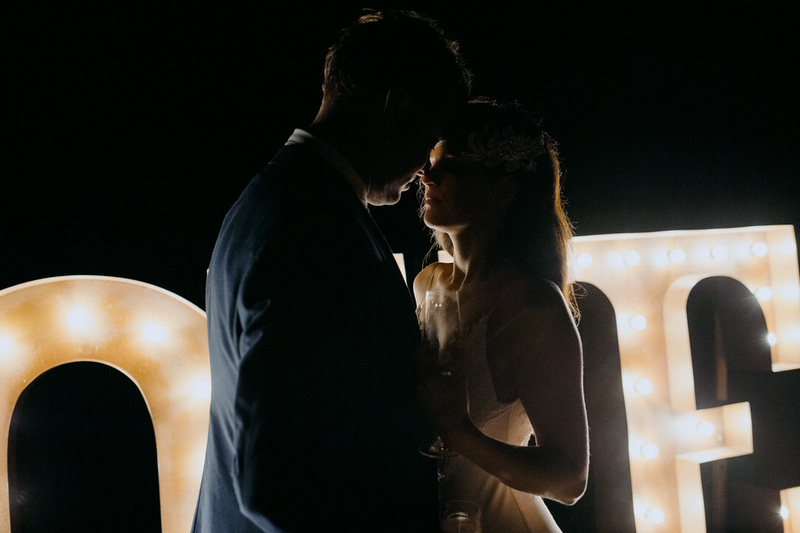 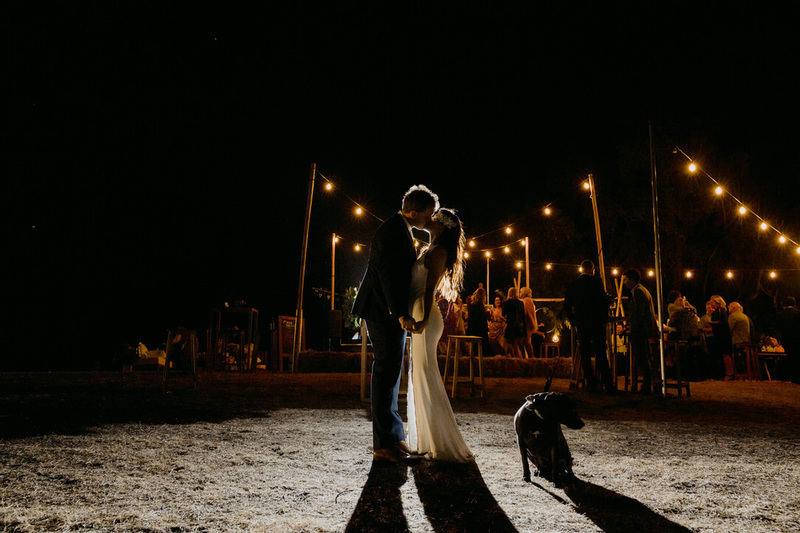 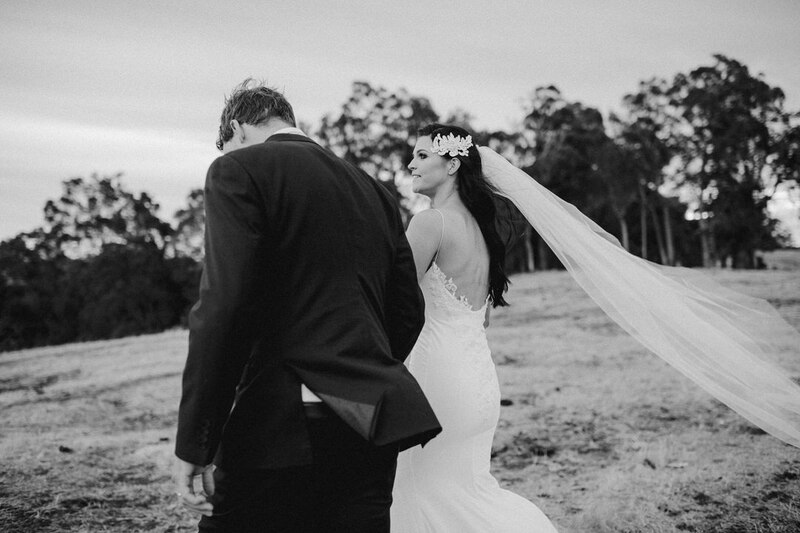 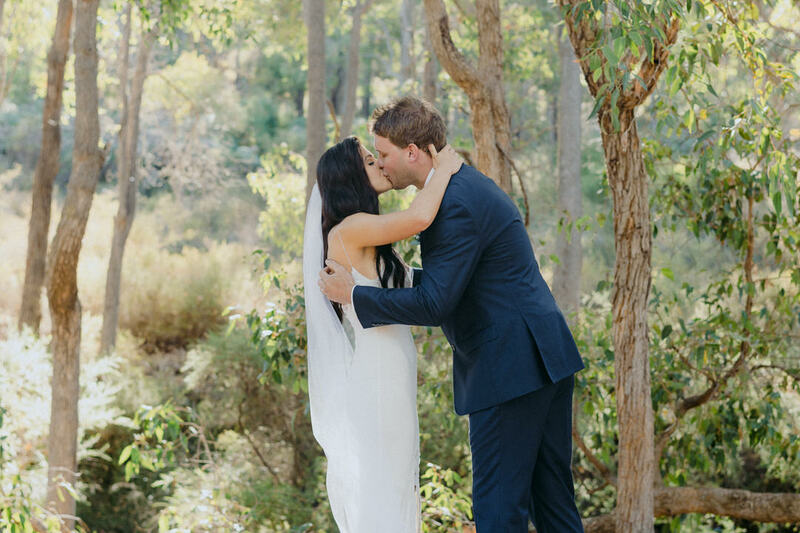 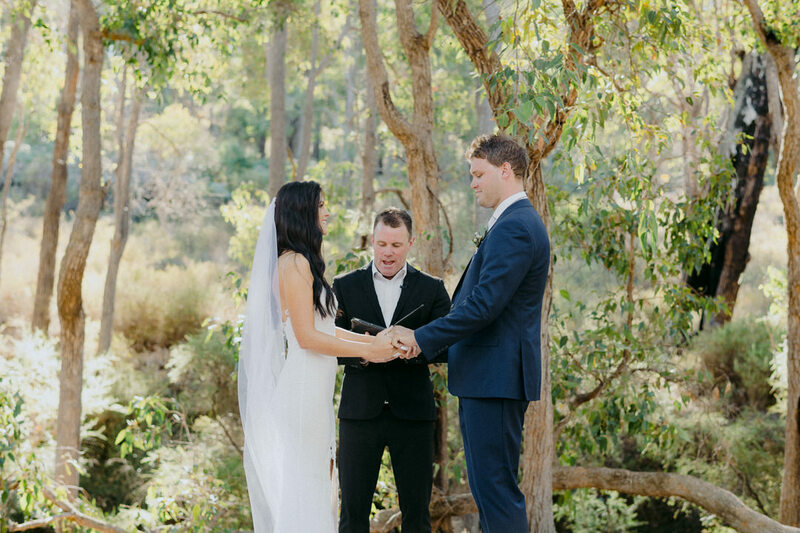 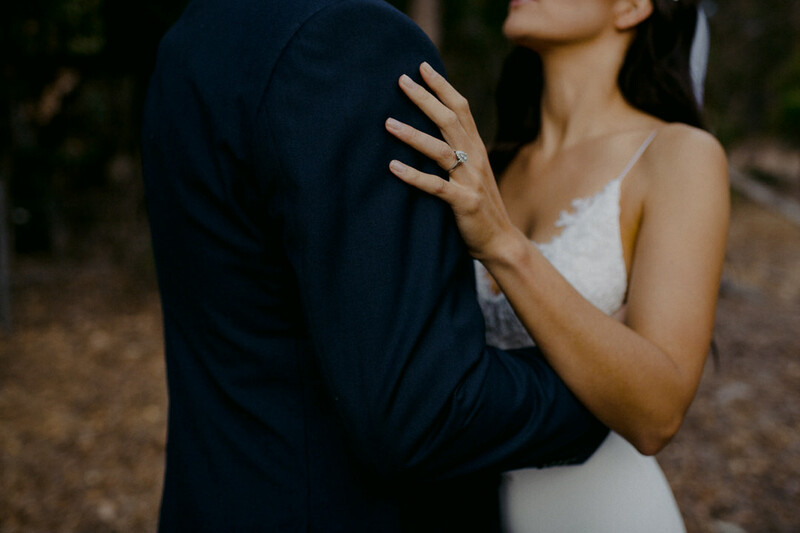 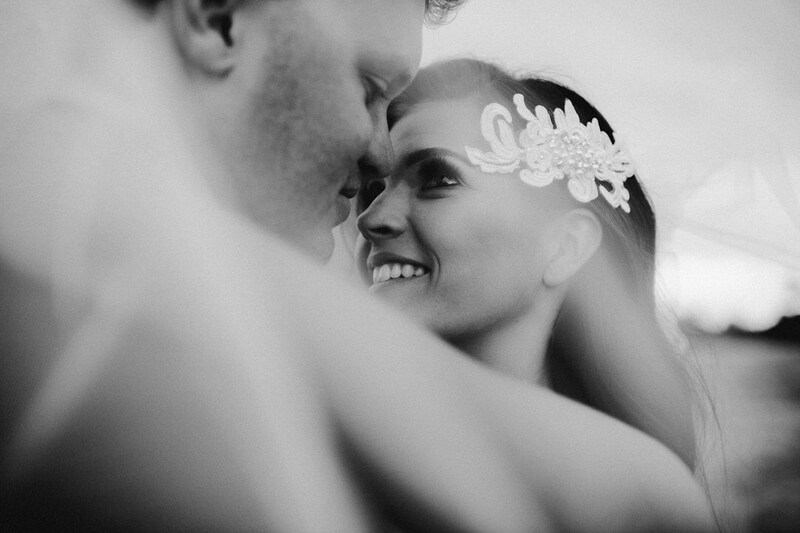 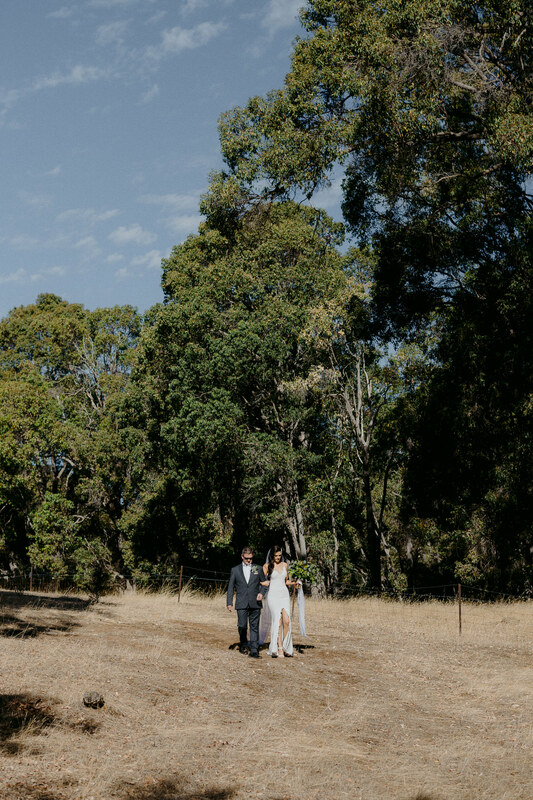 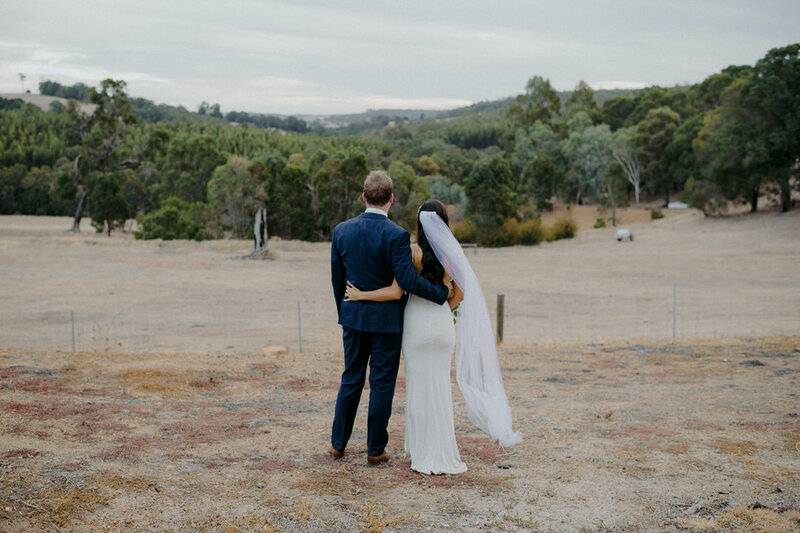 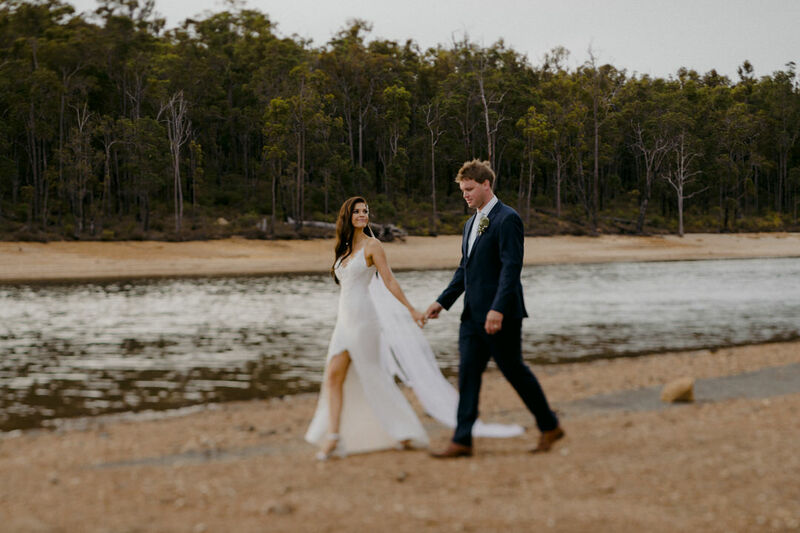 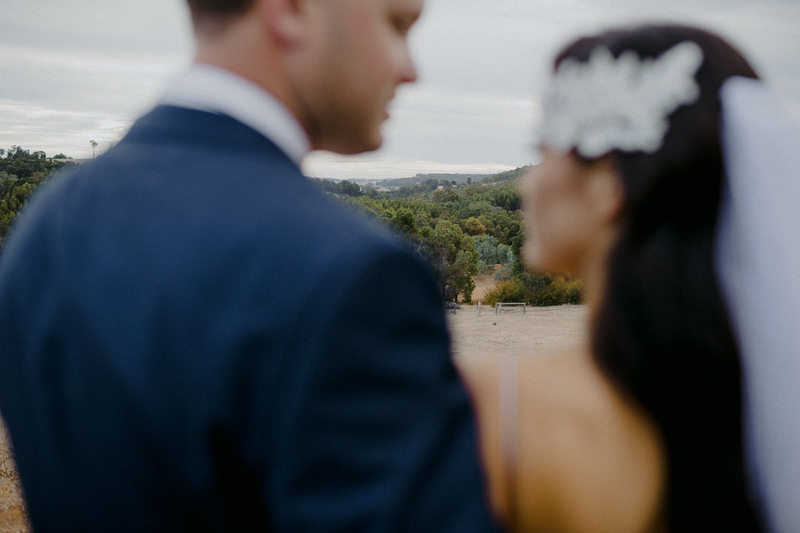 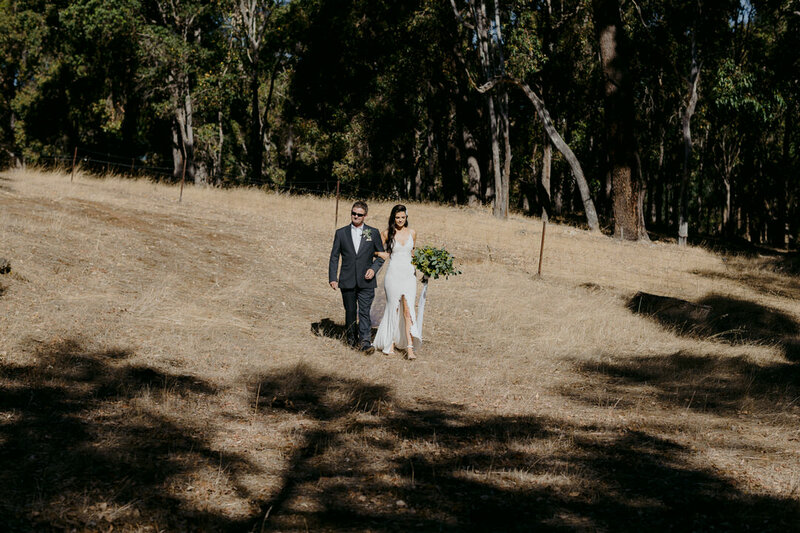 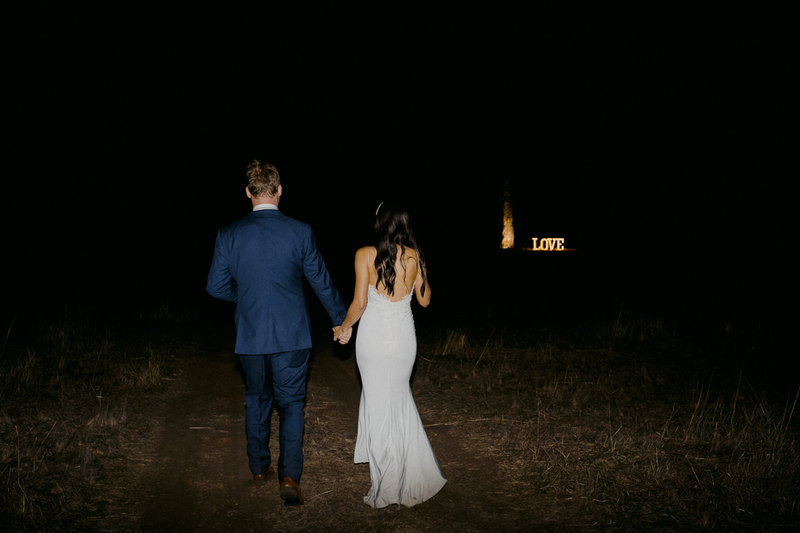 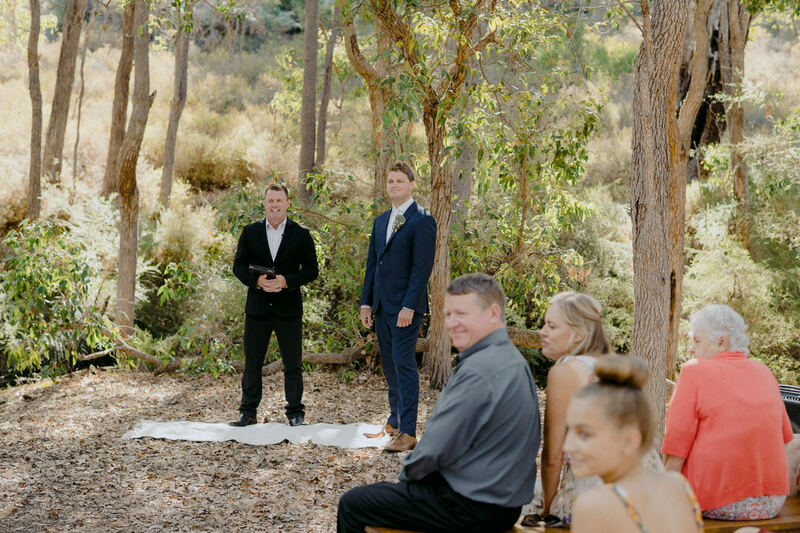 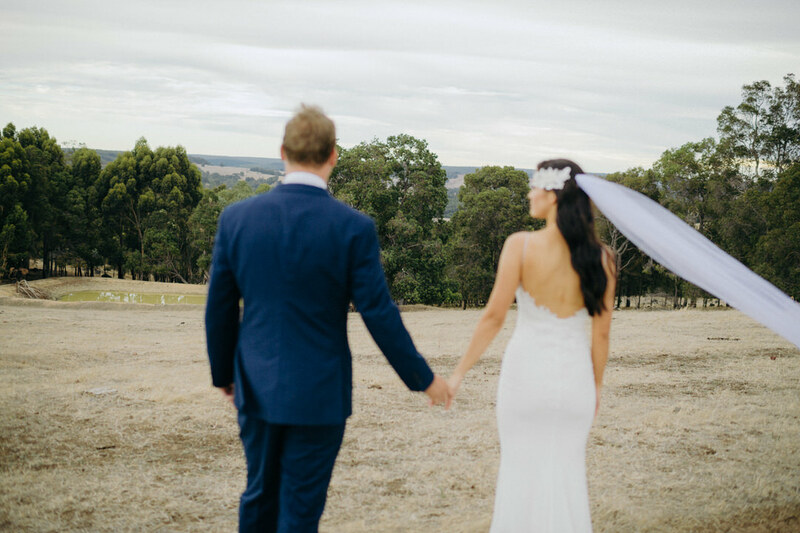 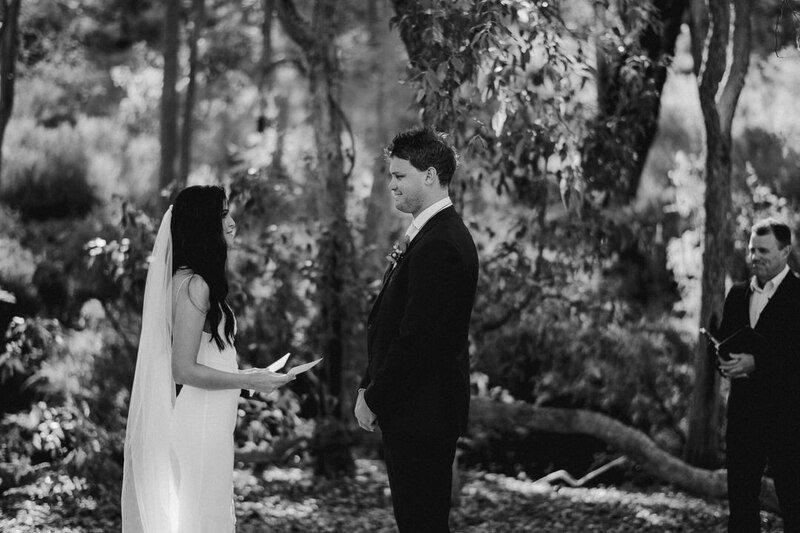 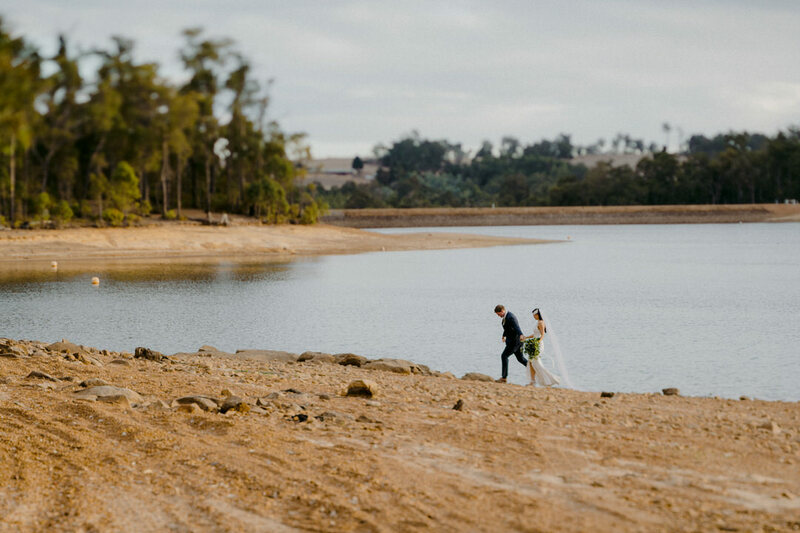 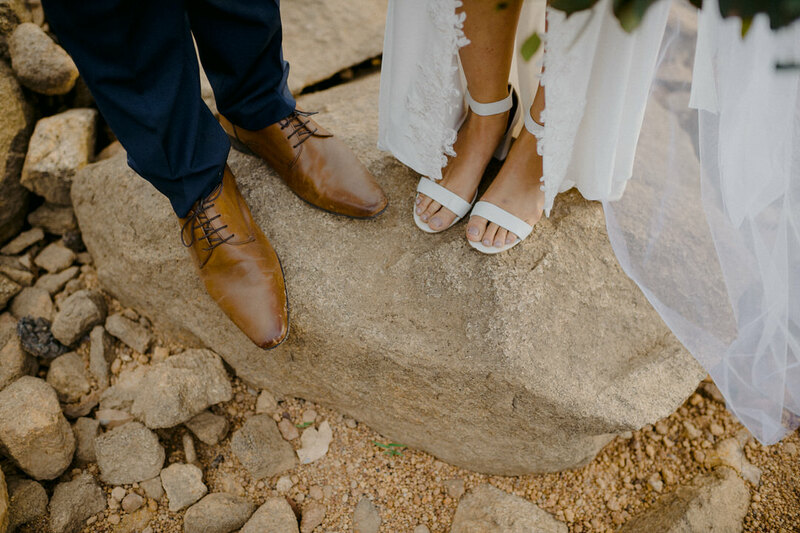 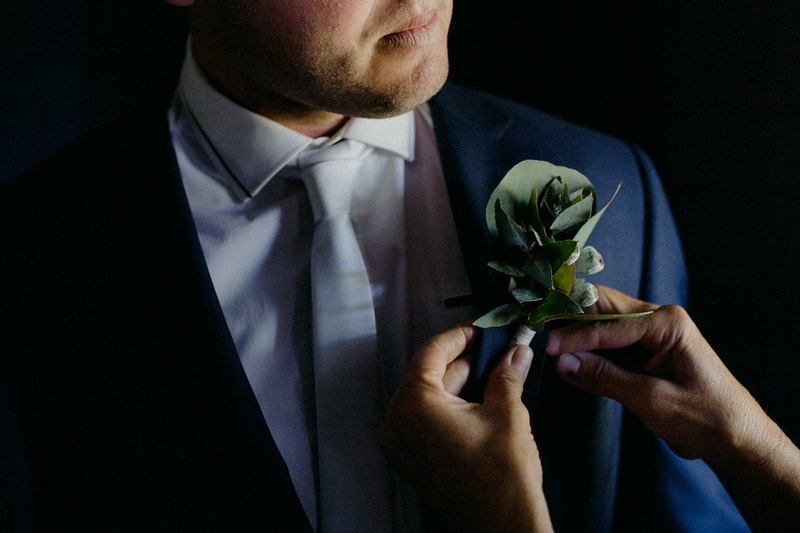 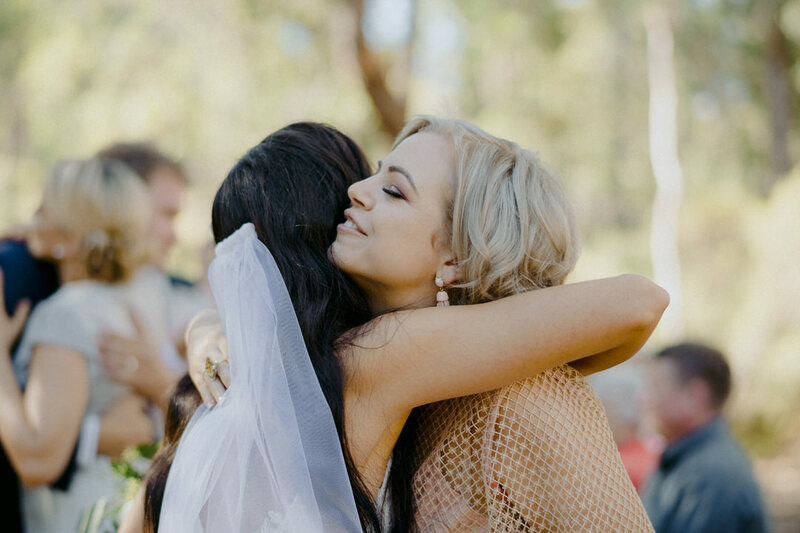 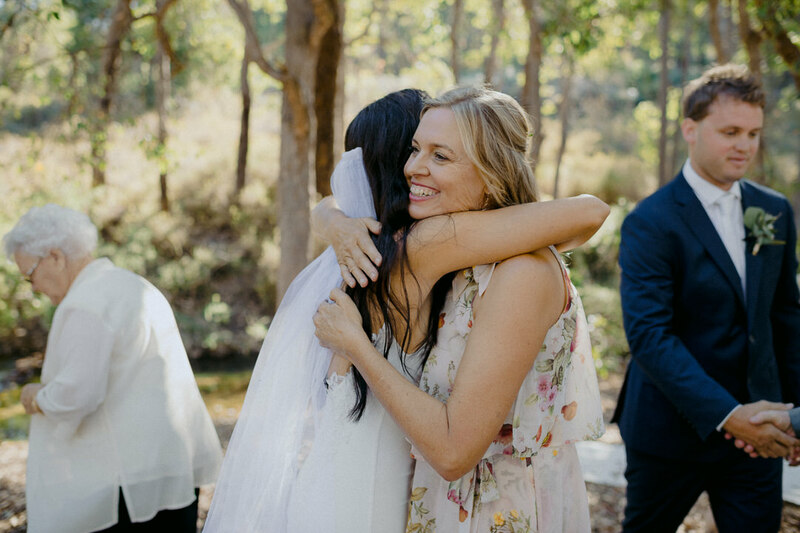 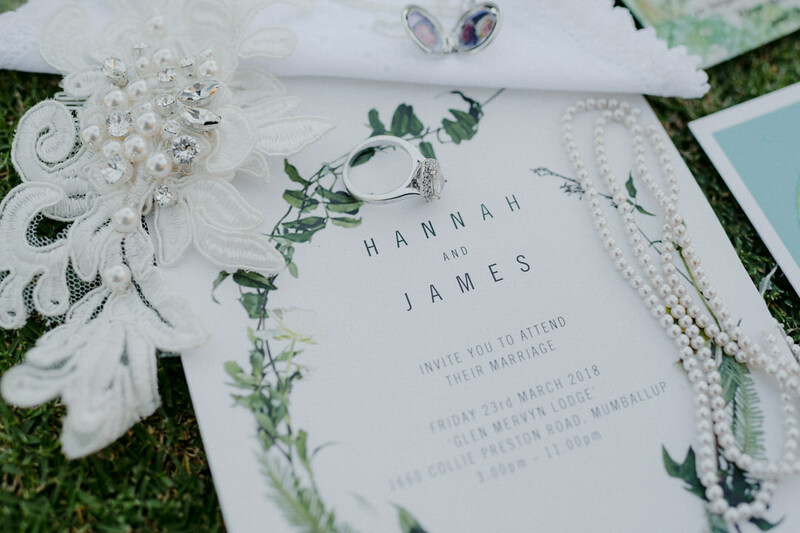 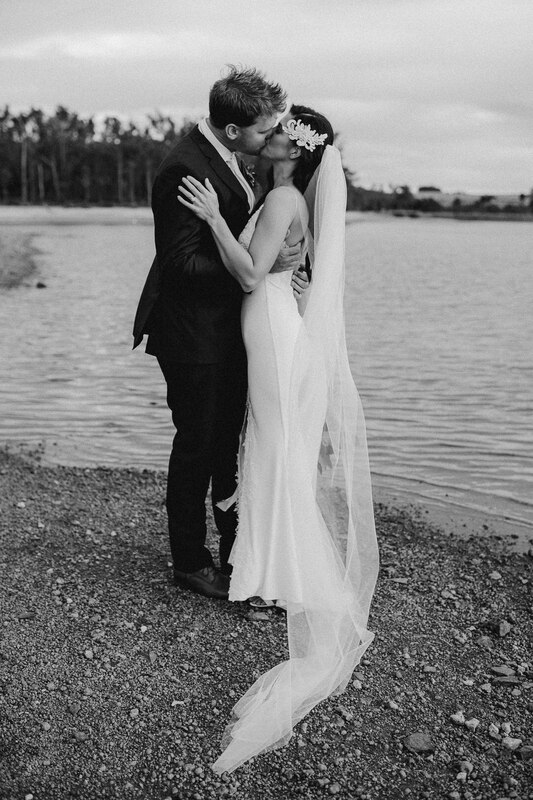 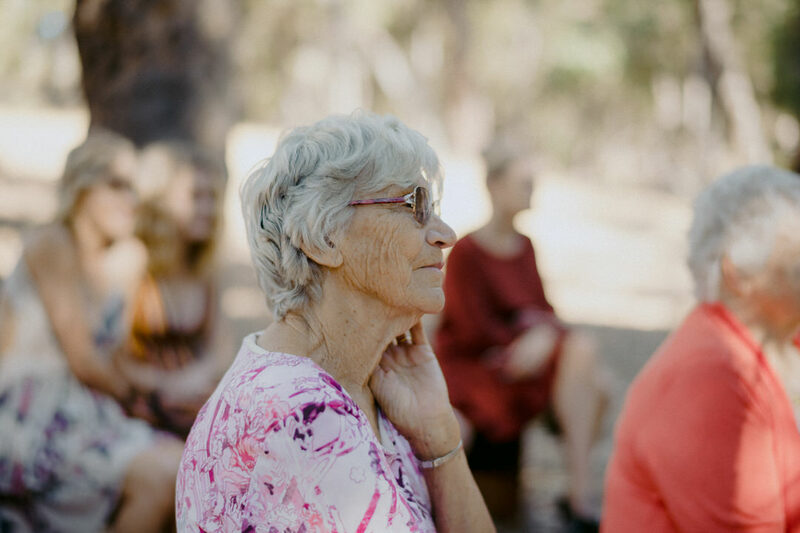 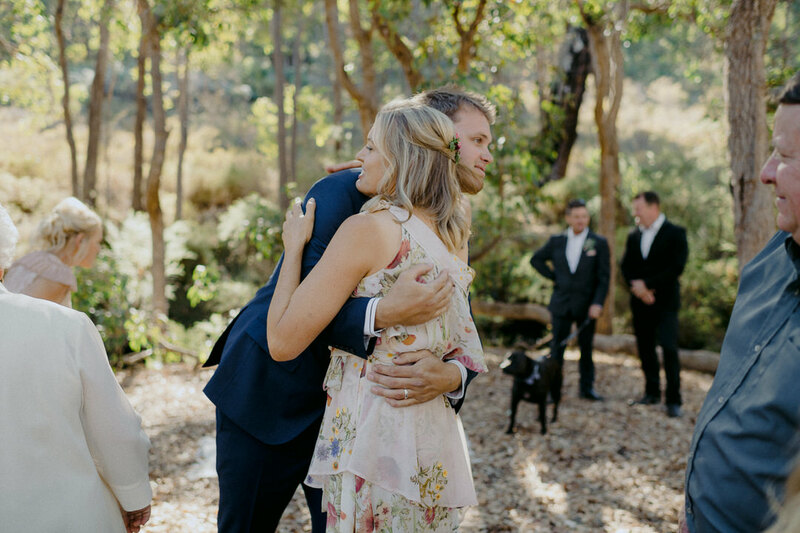 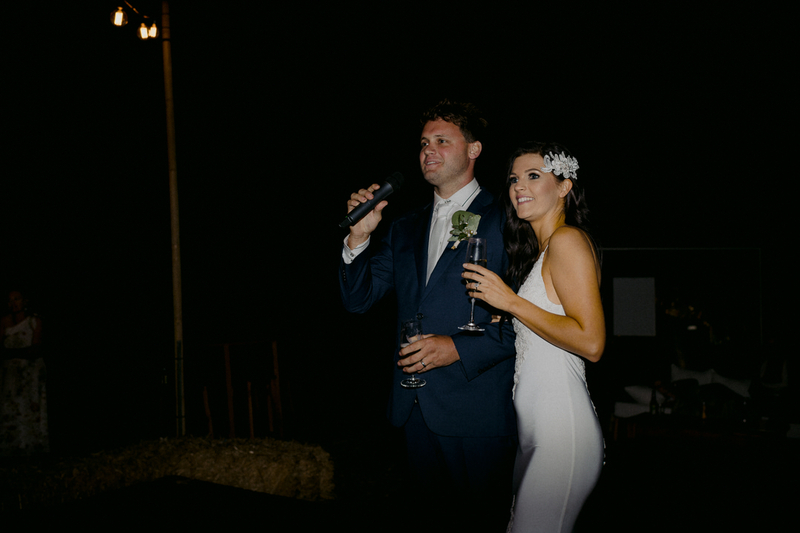 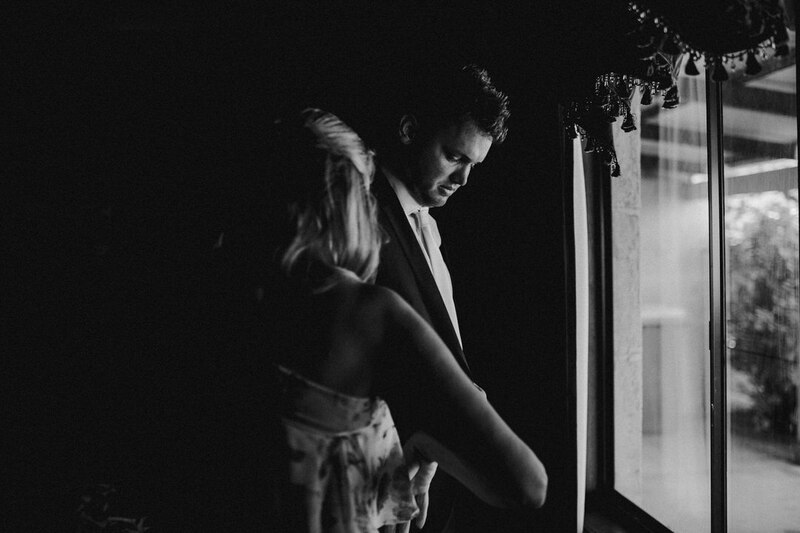 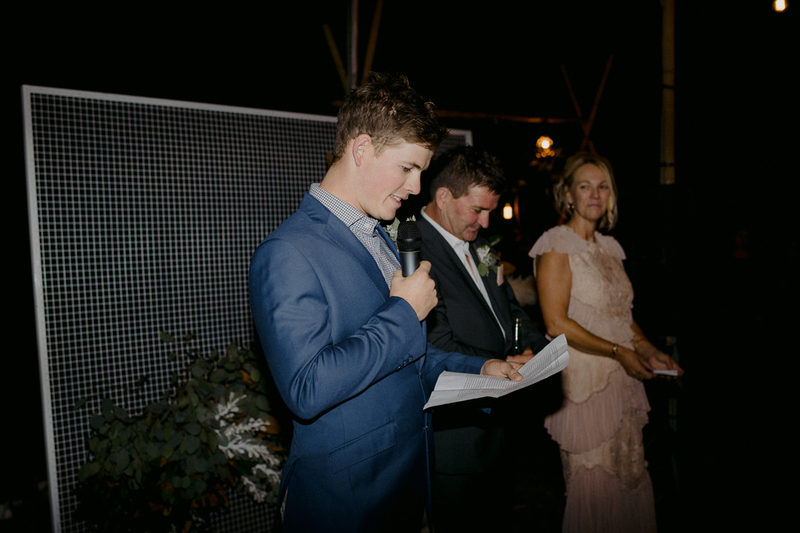 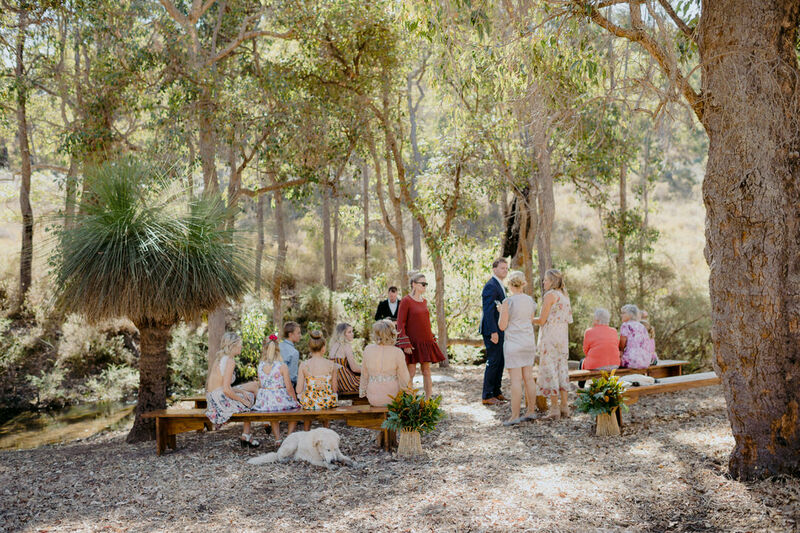 Hannah & James held the most beautiful wedding ceremony next to a creek on James’ family farm in Mumballup. 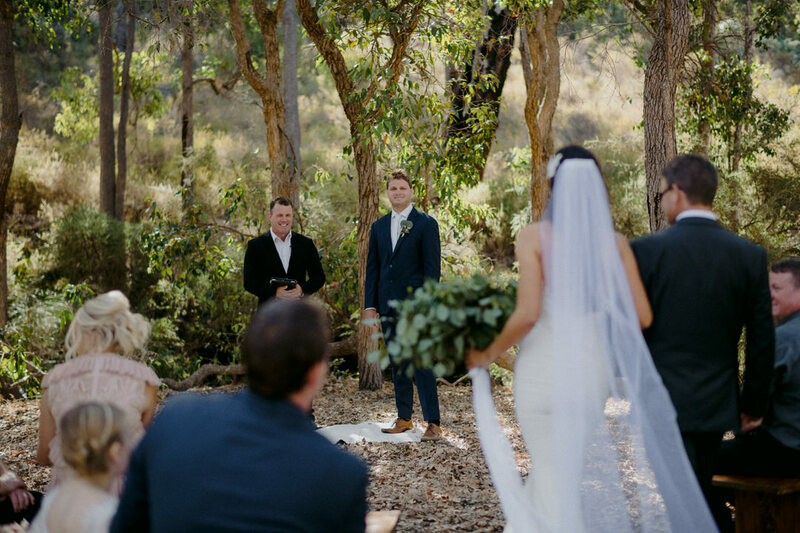 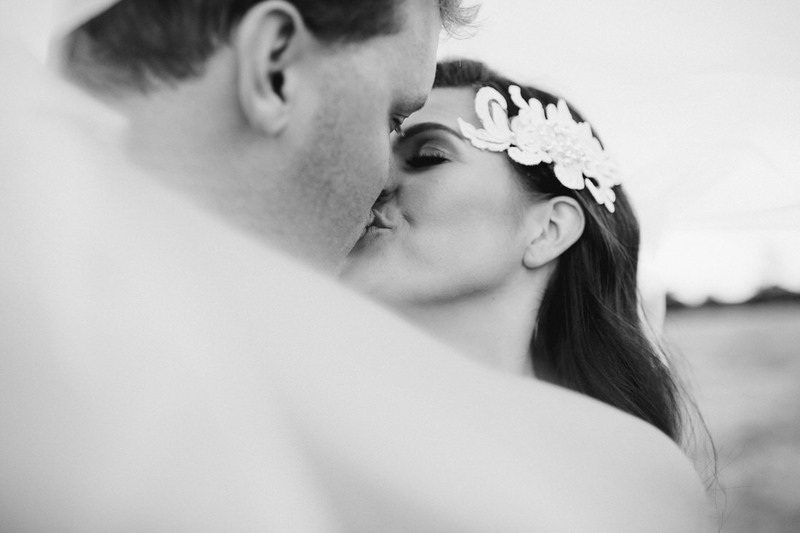 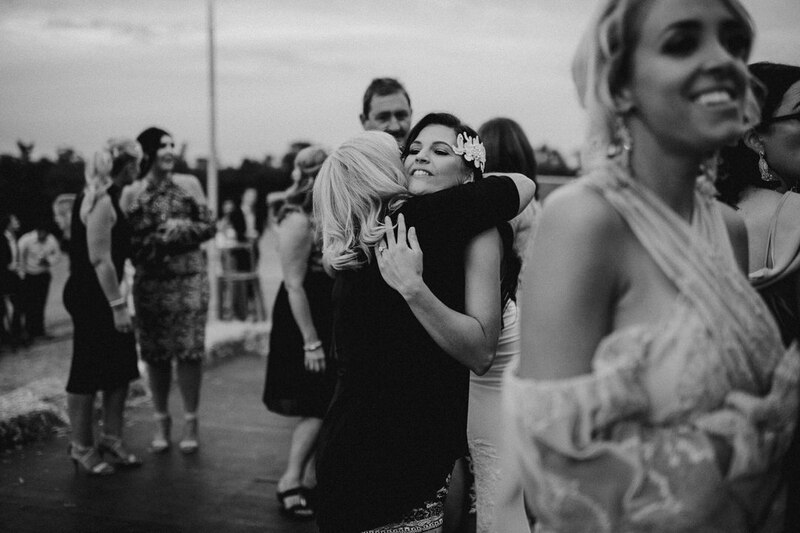 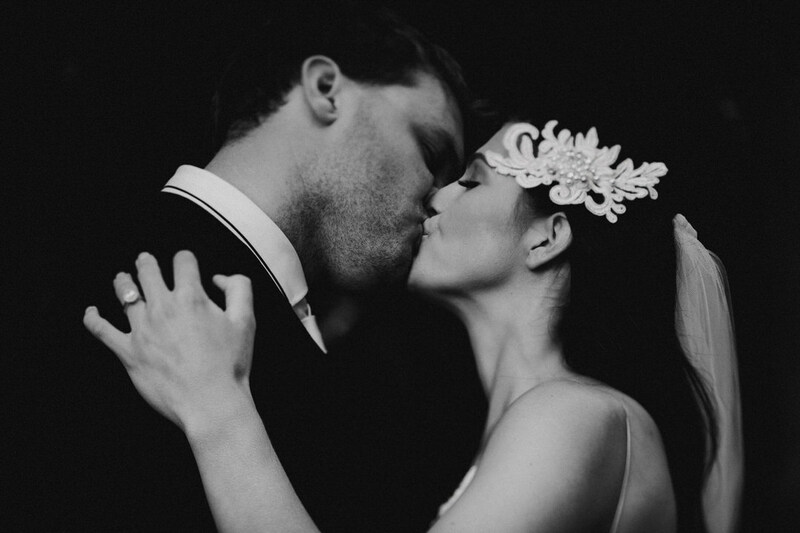 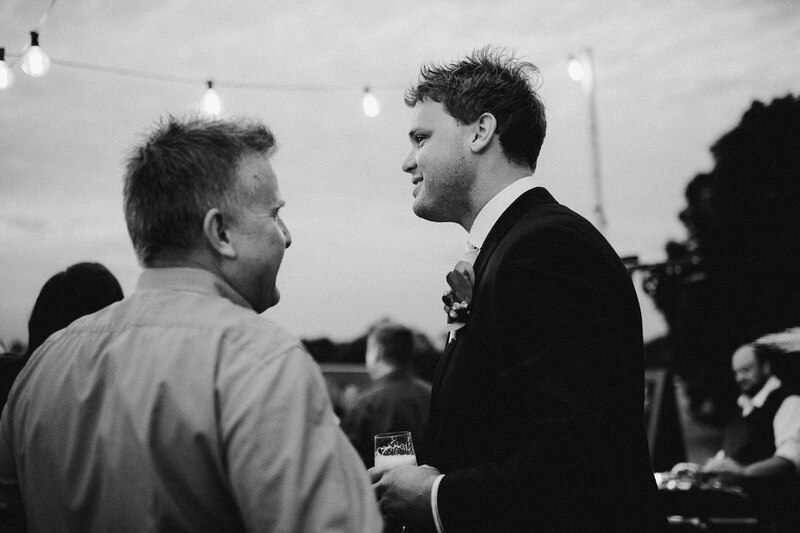 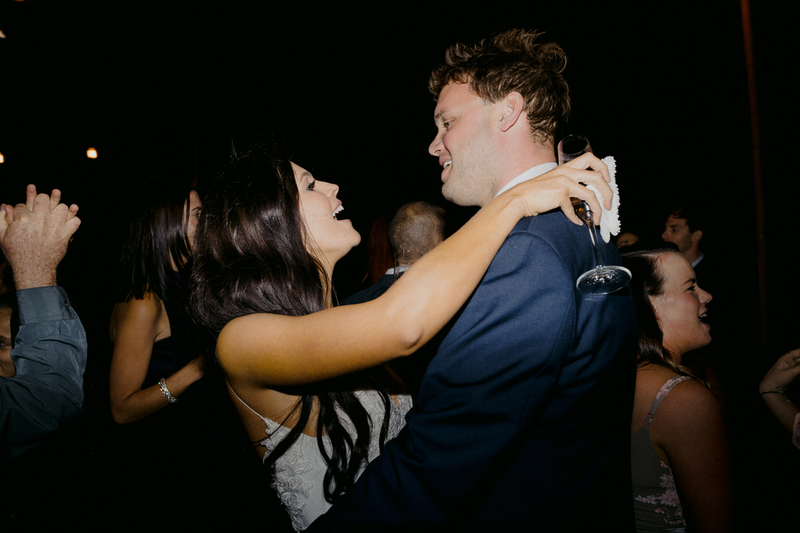 The Ceremony was very intimate with just close friends and family members attending. 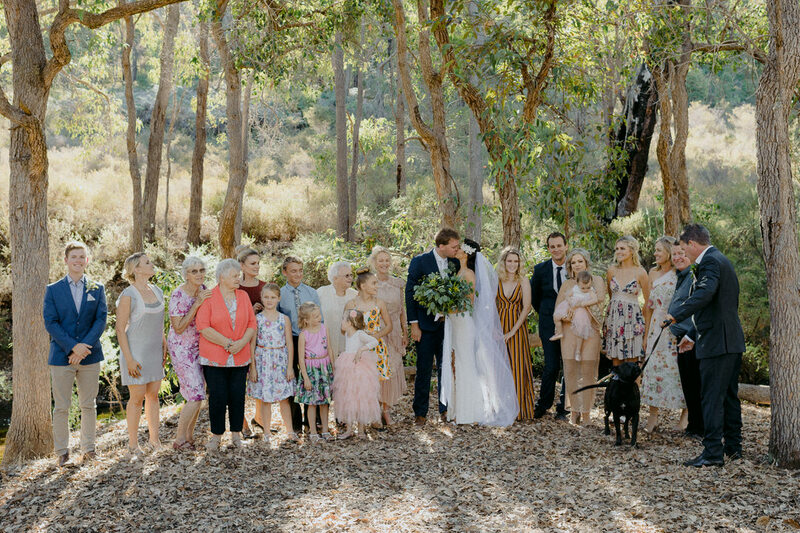 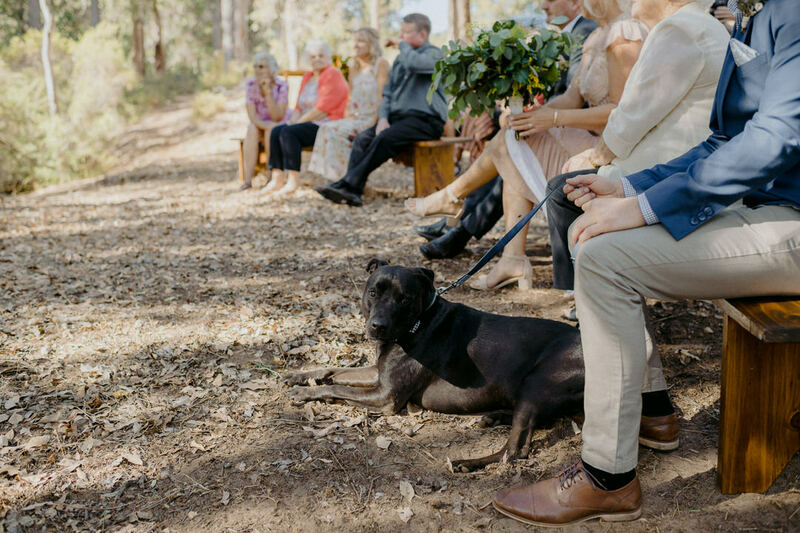 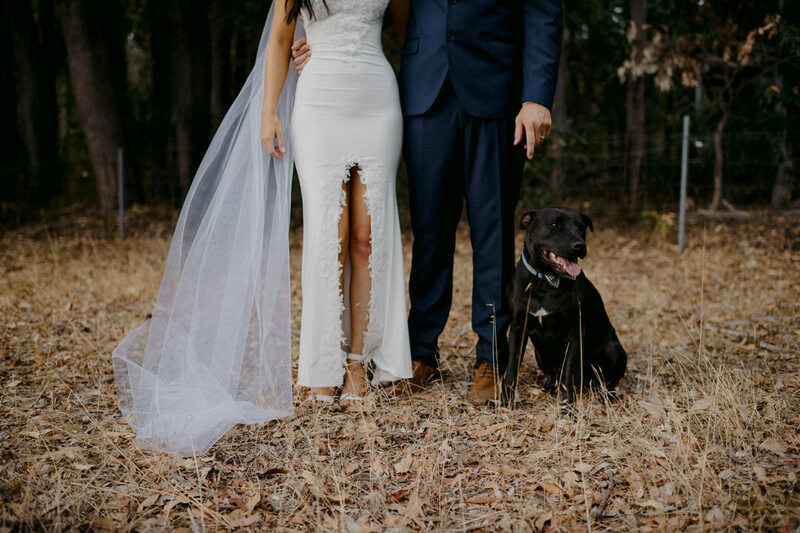 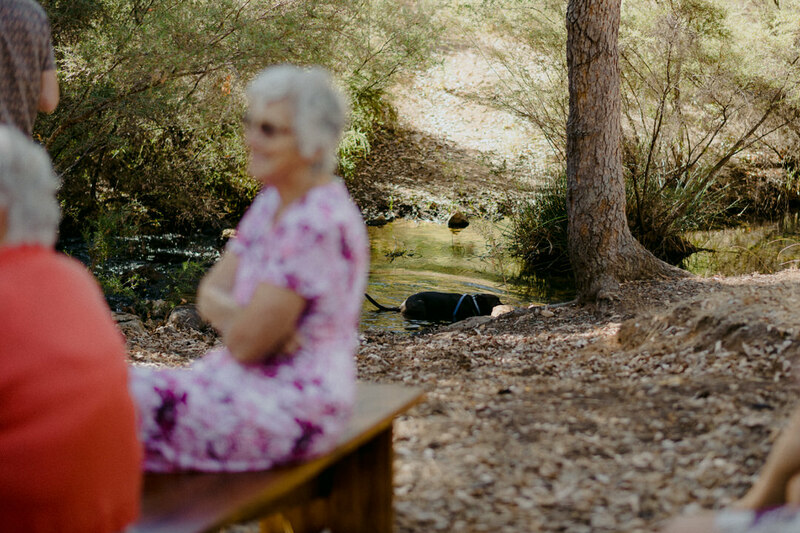 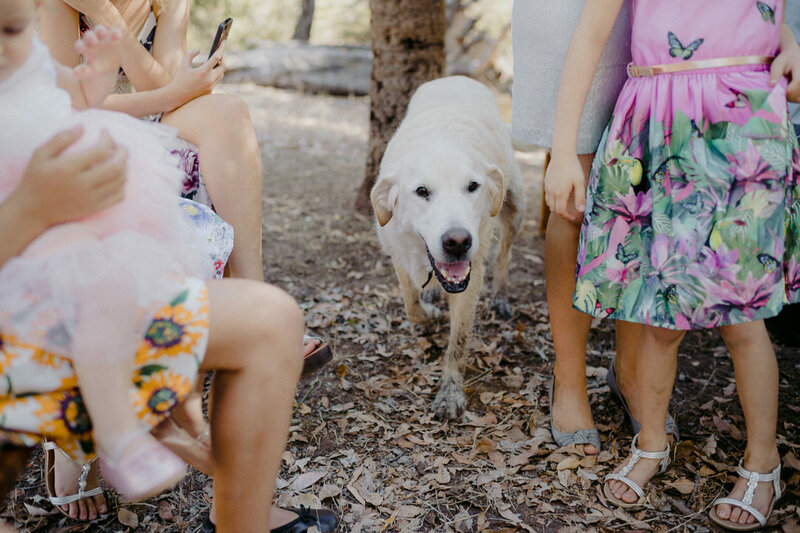 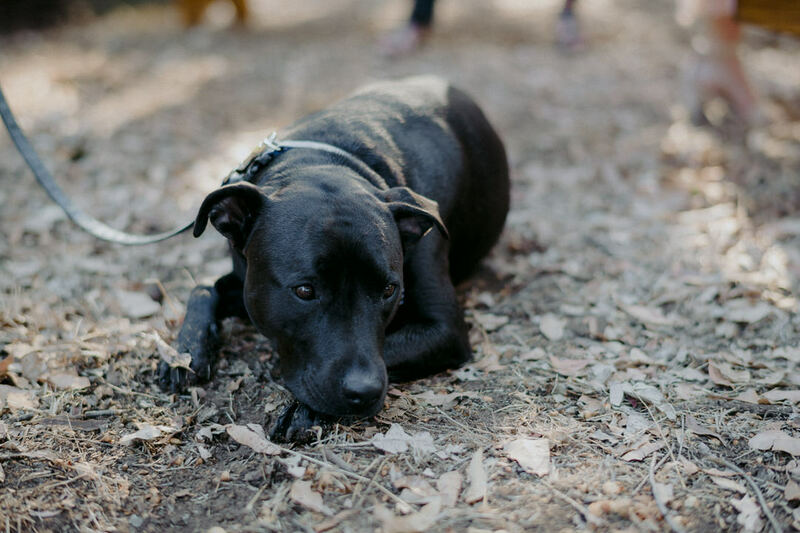 Their dog Mavick was even a part of the wedding ceremony, conveniently deciding to go for a swim in the creek during the middle of it. 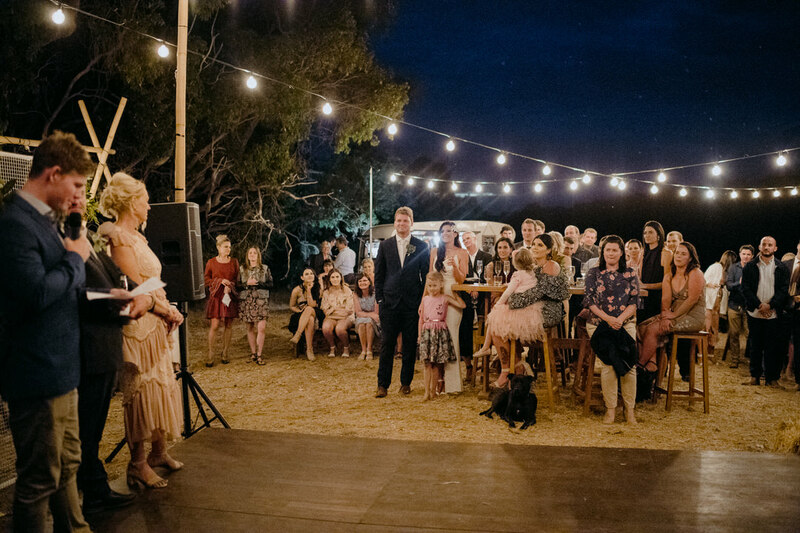 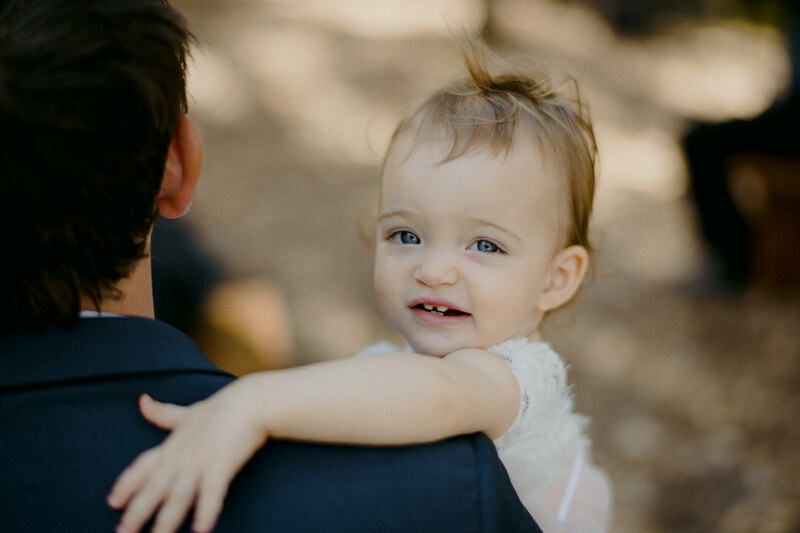 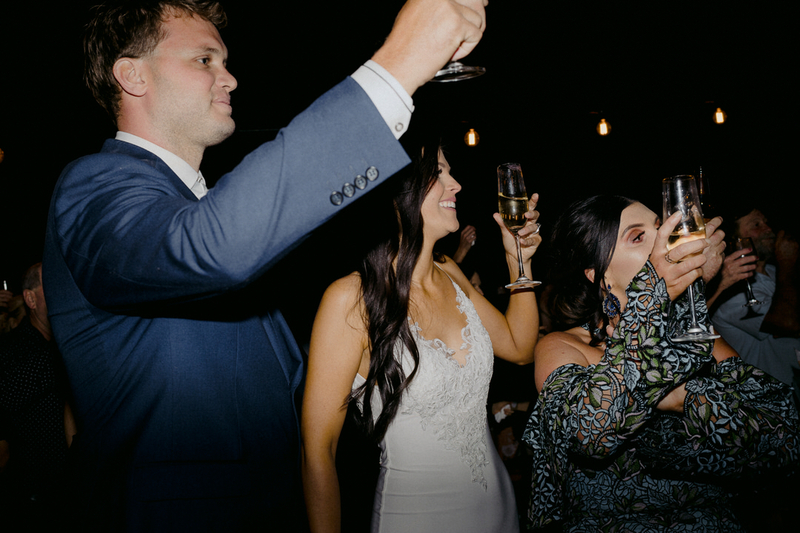 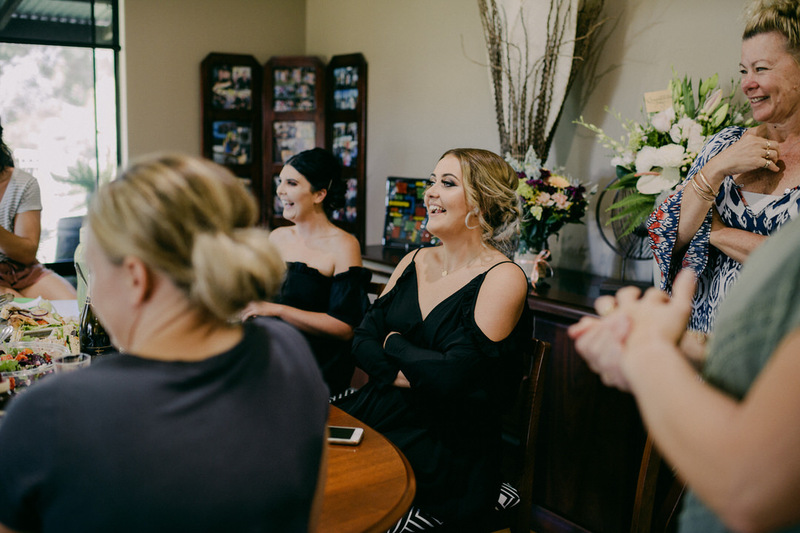 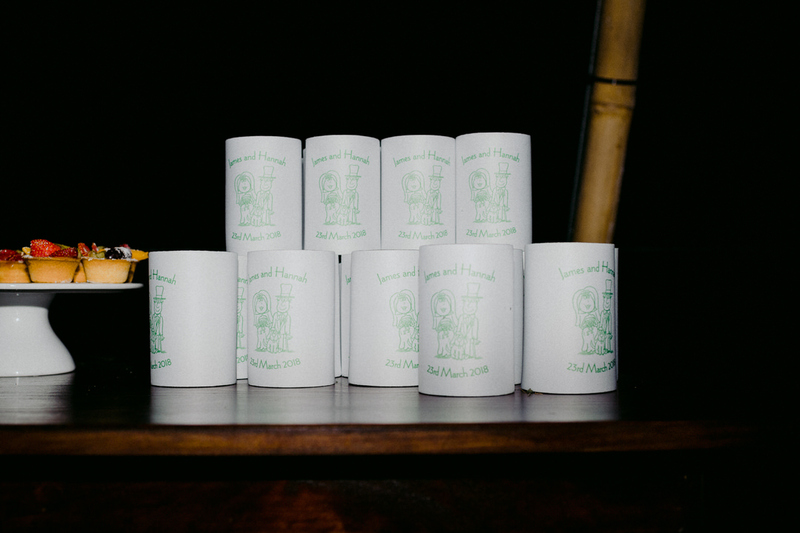 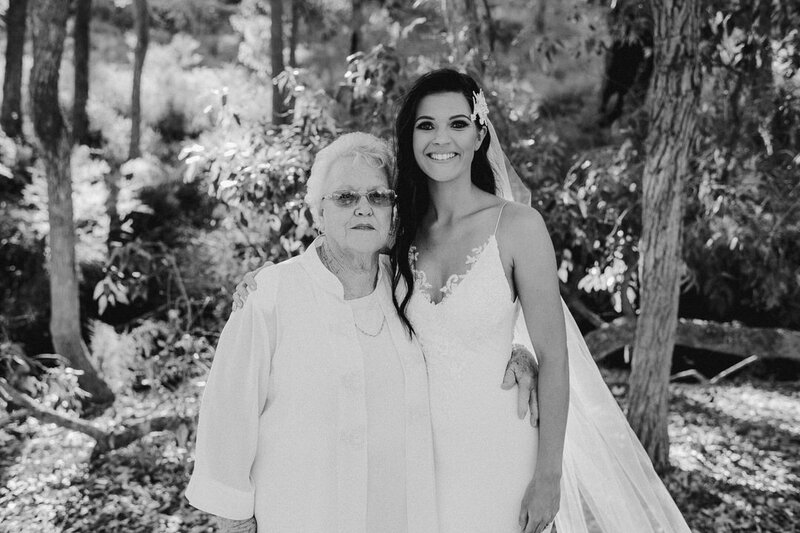 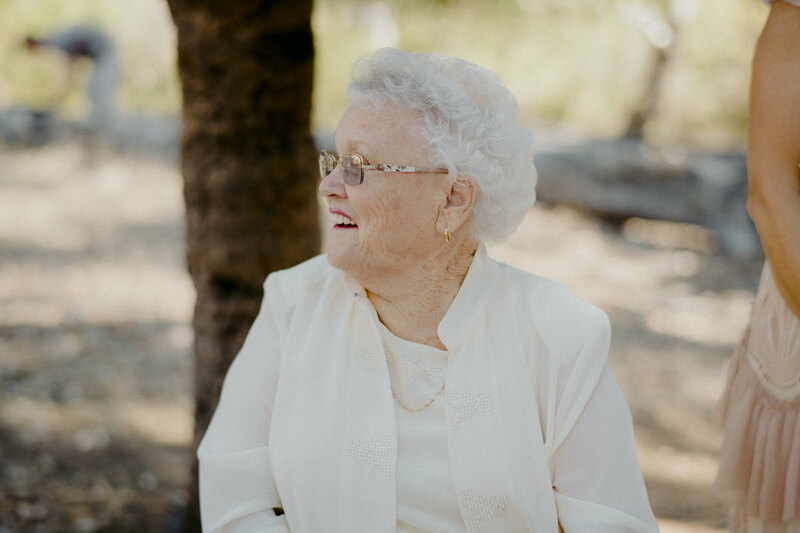 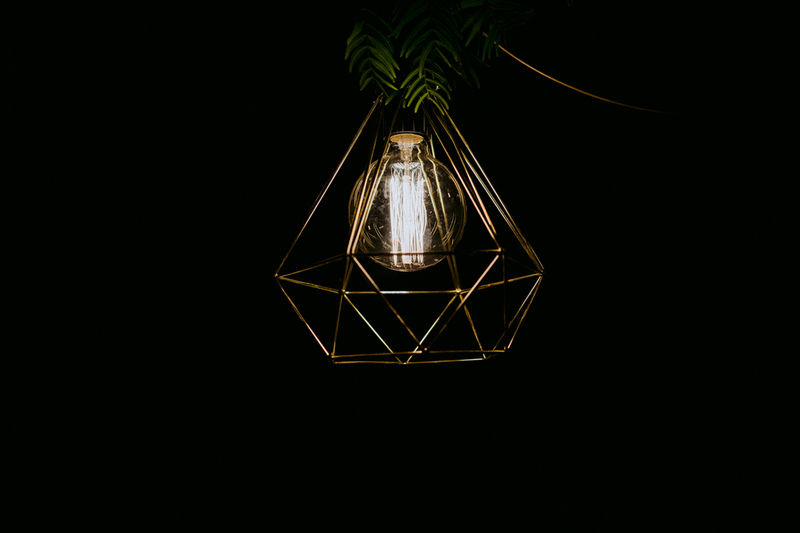 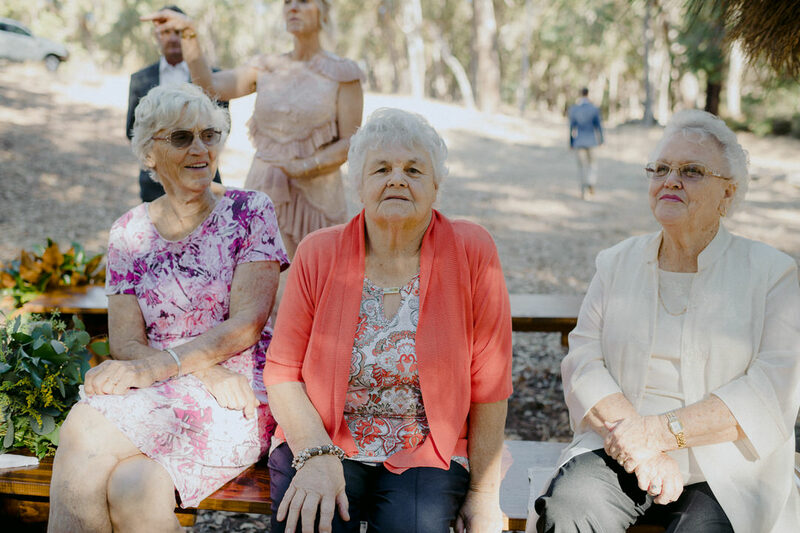 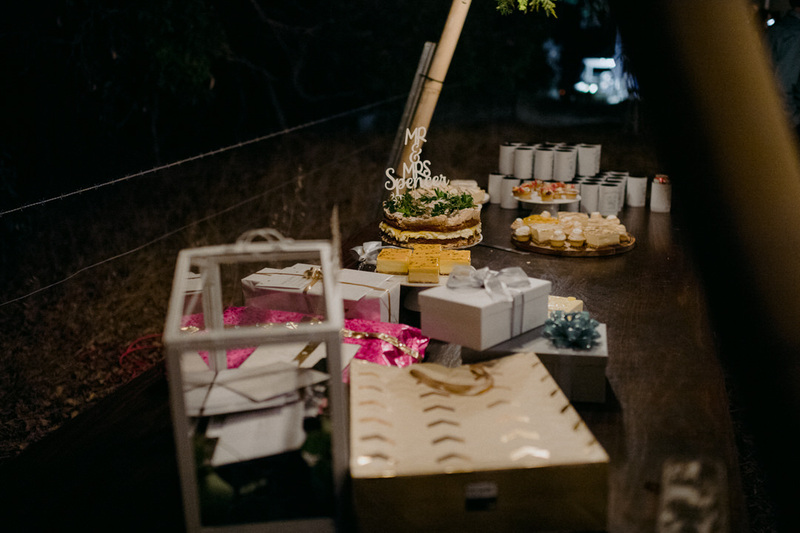 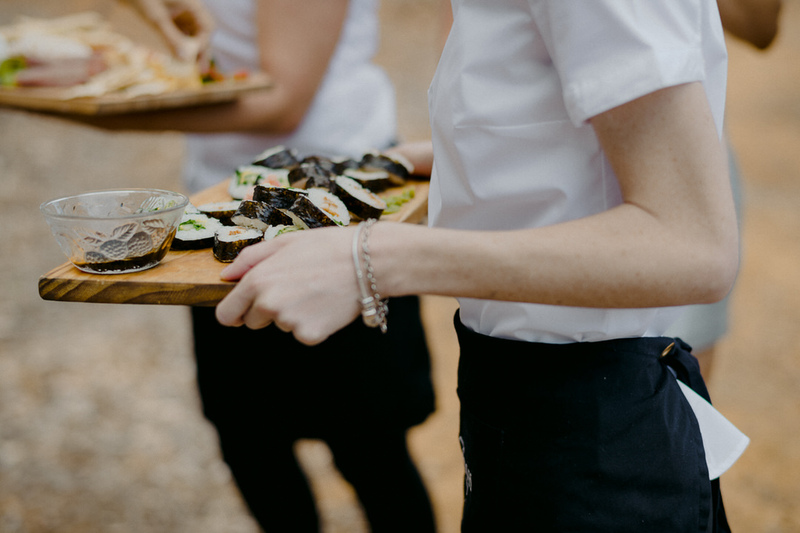 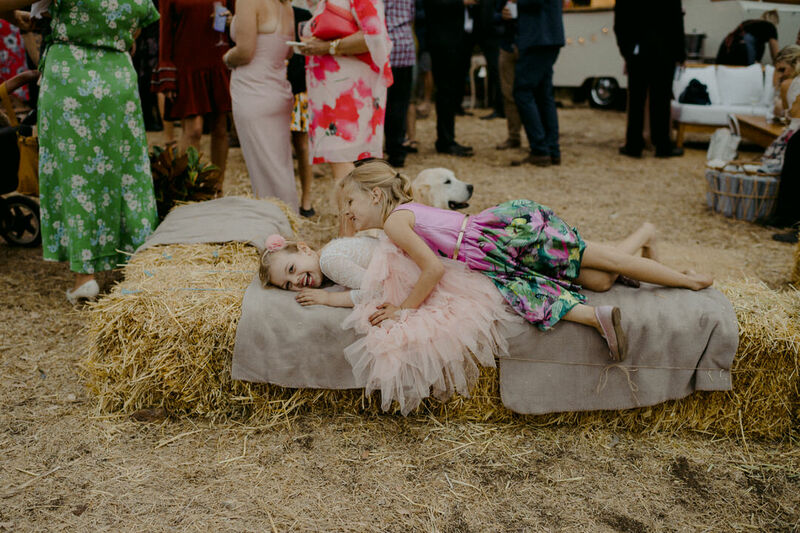 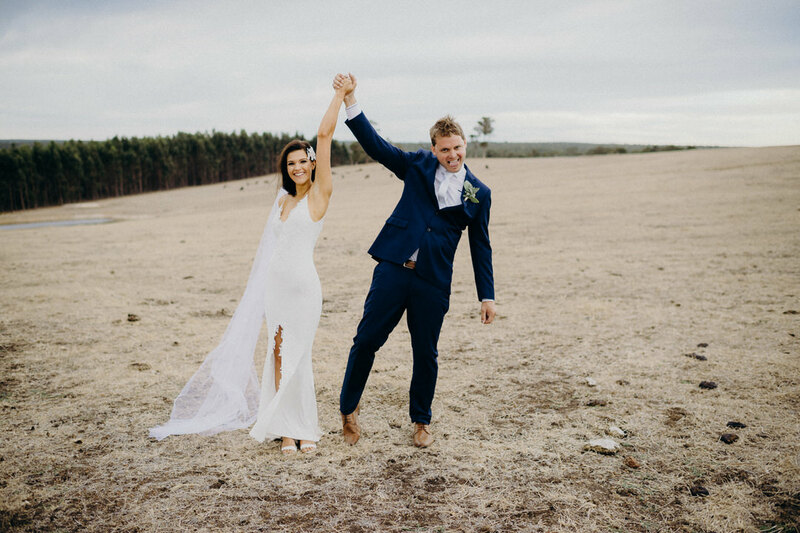 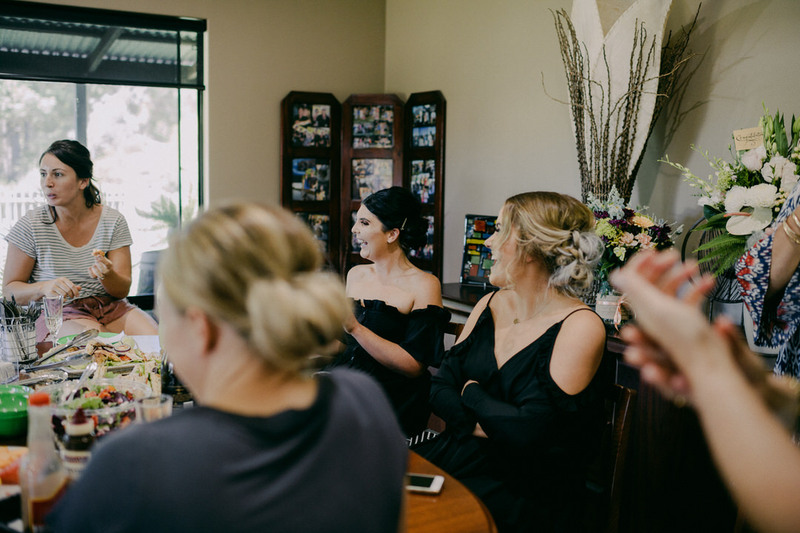 Other friends and their extended family were invited to party at the reception later which they set up on the top of a hill overlooking the beautiful valley on their farm. 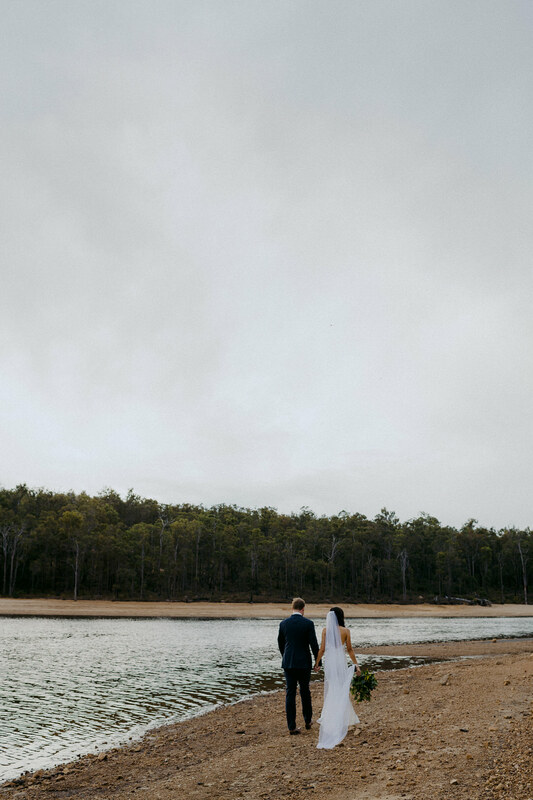 I had so much fun with them exploring the farm and the dam nearby. 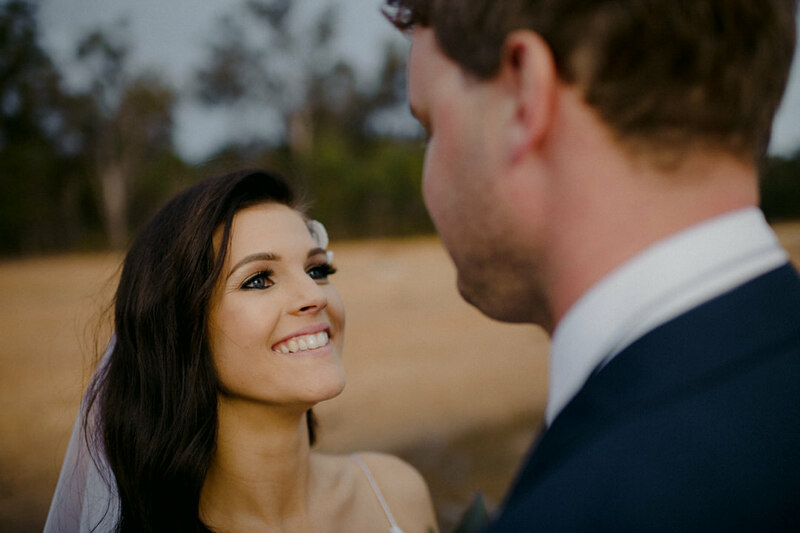 I’m Hannah – i am 27 years old, I am the practice manager of a podiatry clinic and personal assistant to a specialist foot and ankle surgeon. 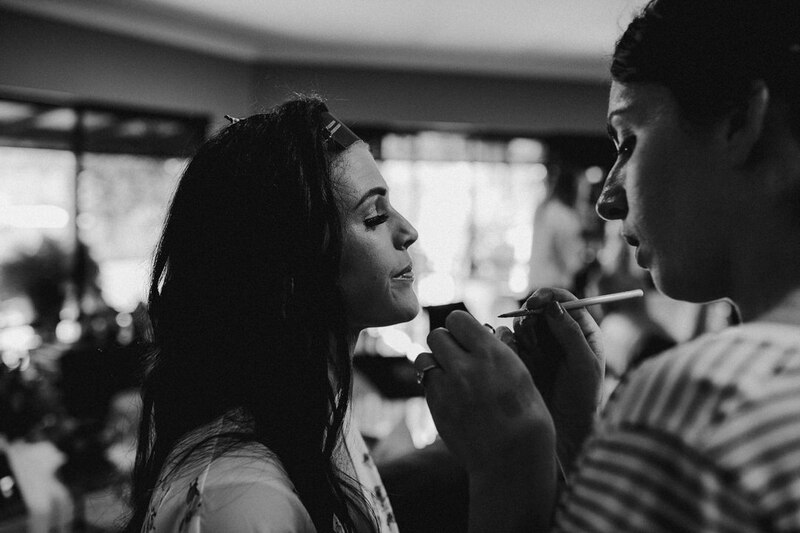 I work all.. the.. time but my job means a lot to me and I love it! 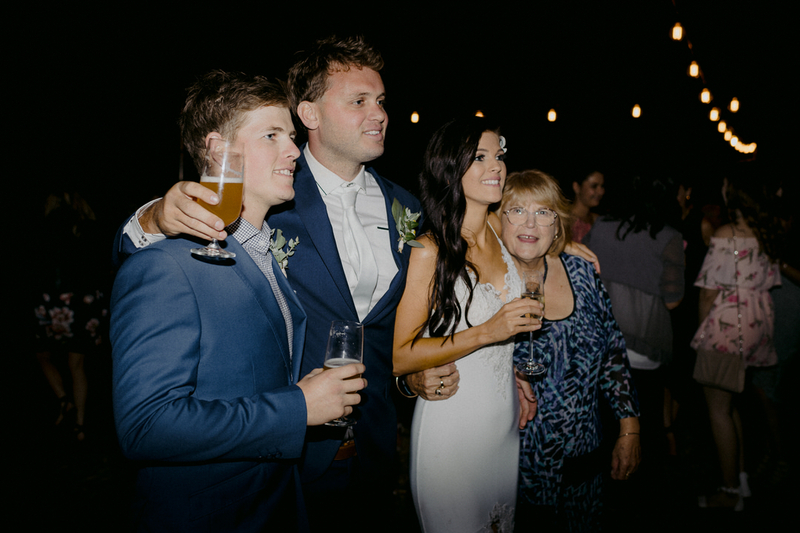 My passion and love in life (besides James and my family!!) 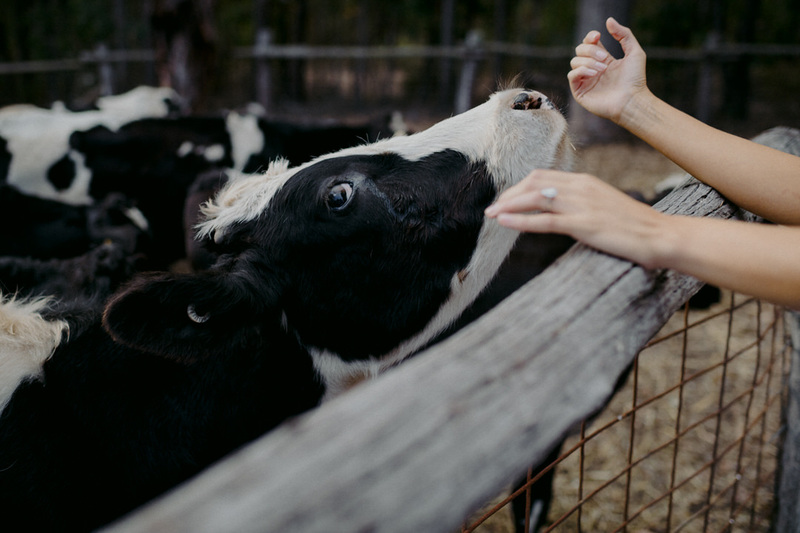 is animals. 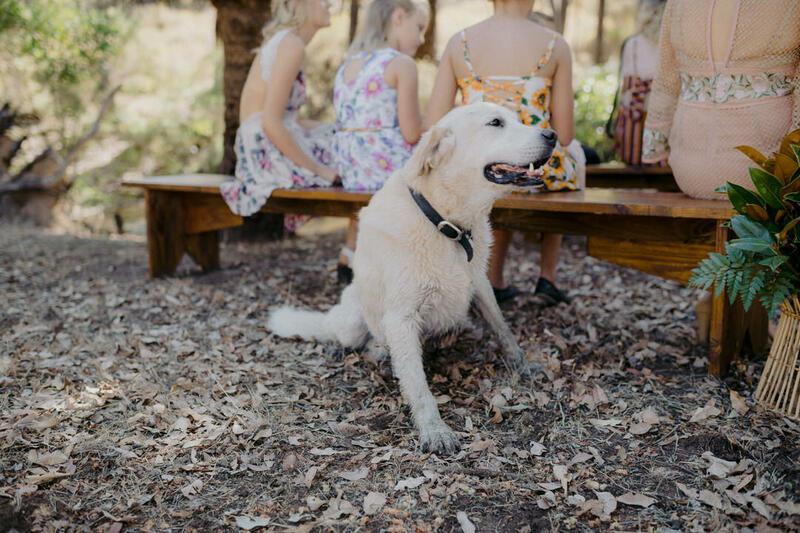 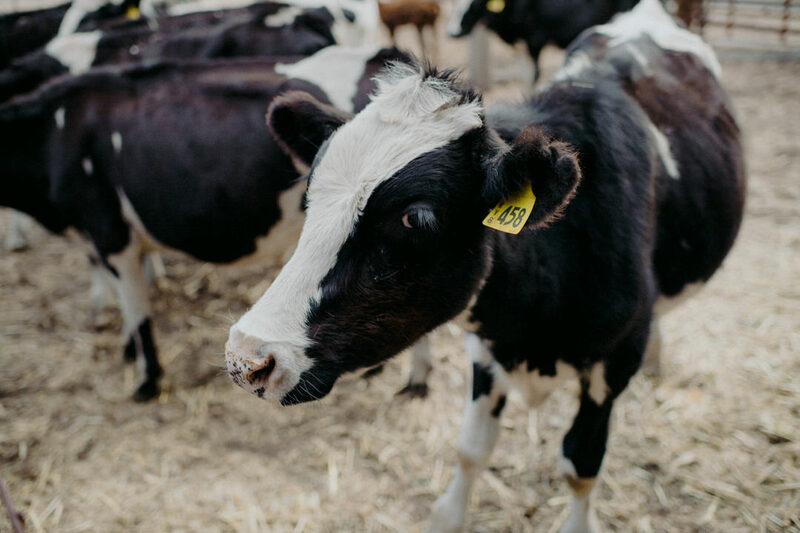 We have a dog – Maverick, cat – Mervyn, 2 alpacas – Ernie and Lavender and 8 cows! 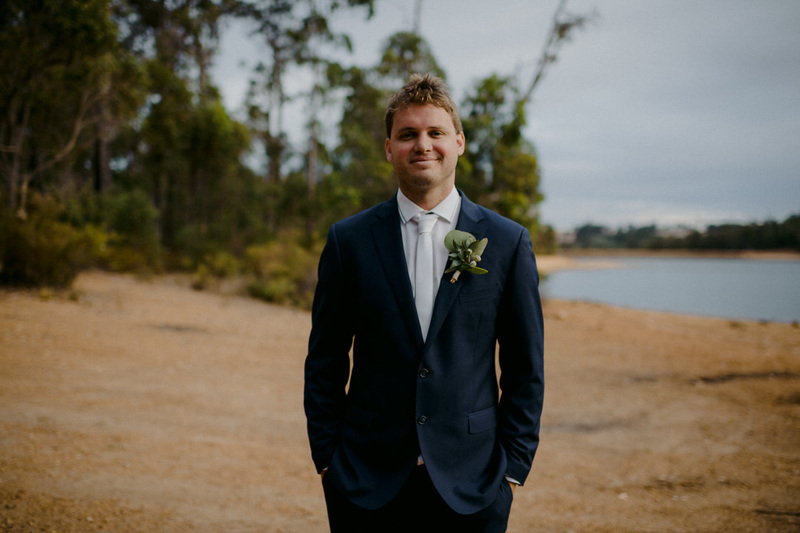 James has just turned the big 3-0, he is a mechanical fitter and works in Collie. 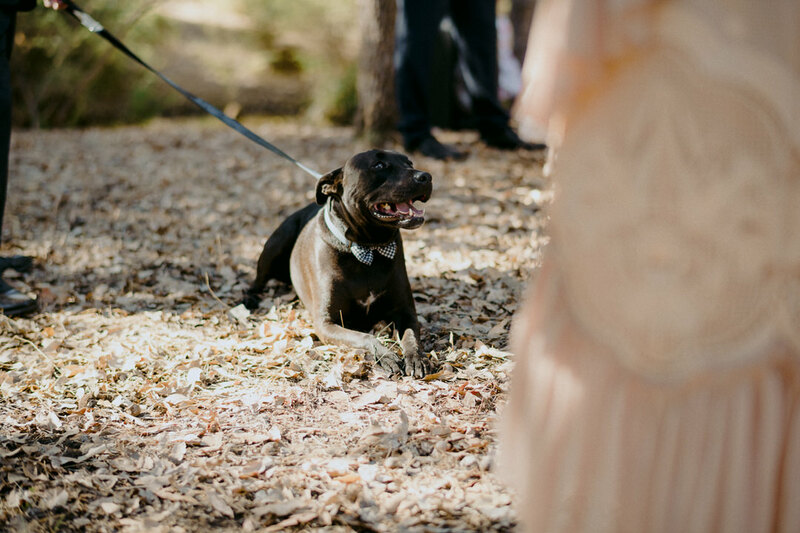 He’s a gentle giant with the biggest heart! 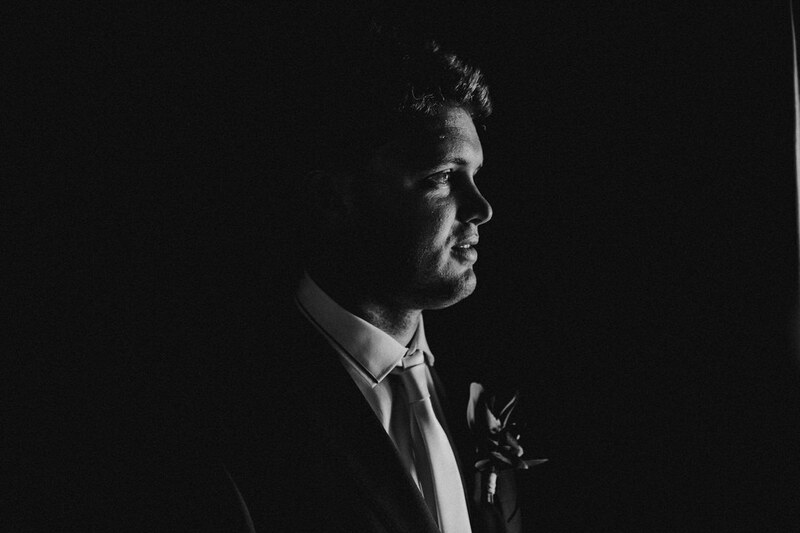 He loves anything with an engine and has a passion for sport. 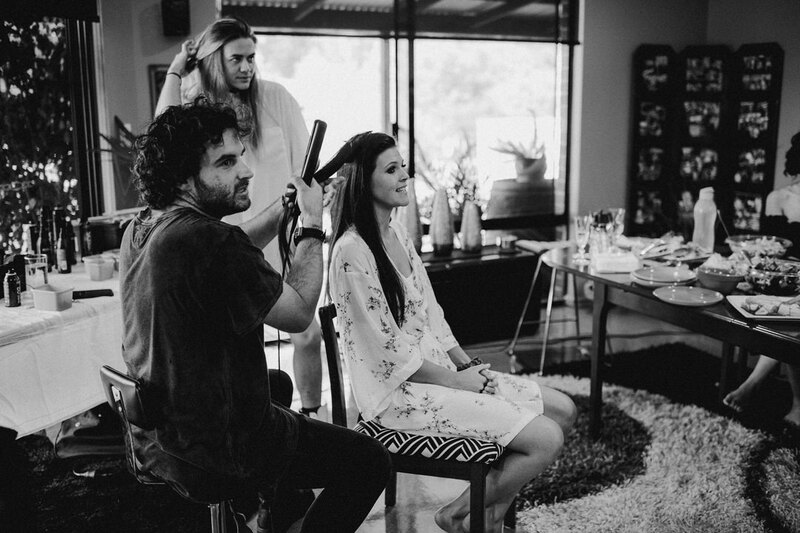 He works so hard for us and our future!! 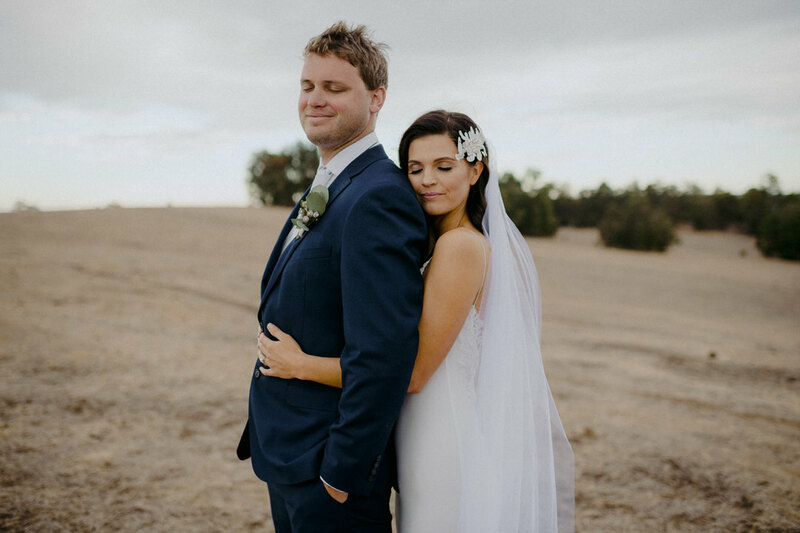 We met at the local football club and have been together for nearly 6 years. 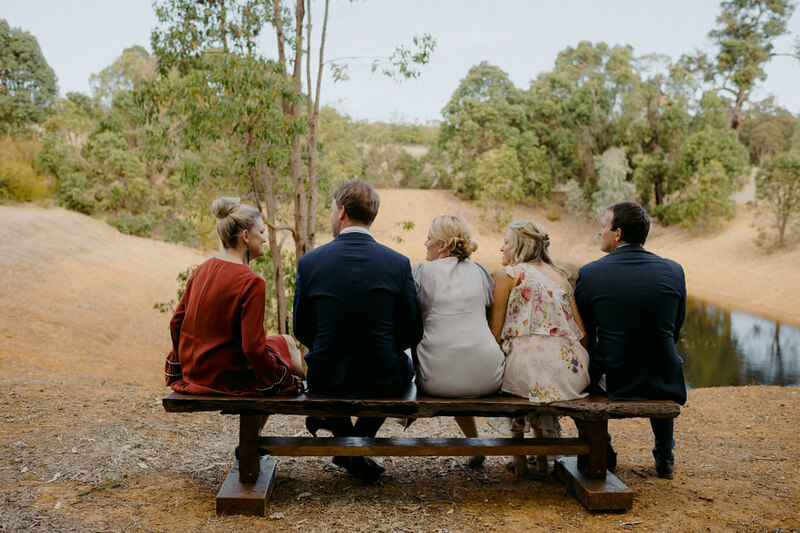 We live in Donnybrook where I grew up and family still lives, but we spend a lot of time at ‘the farm’, the wedding location where James grew up. 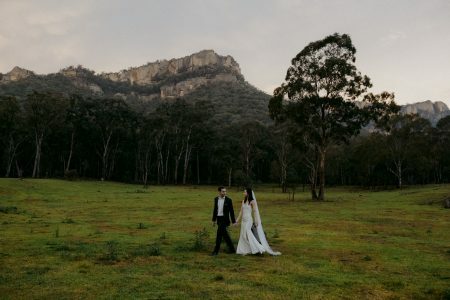 The Wedding Venue/s and Location? 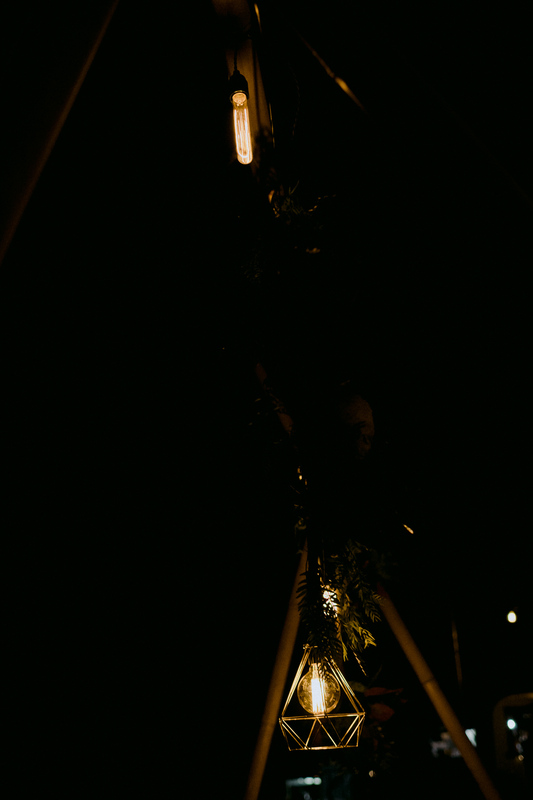 … Why did you choose it? 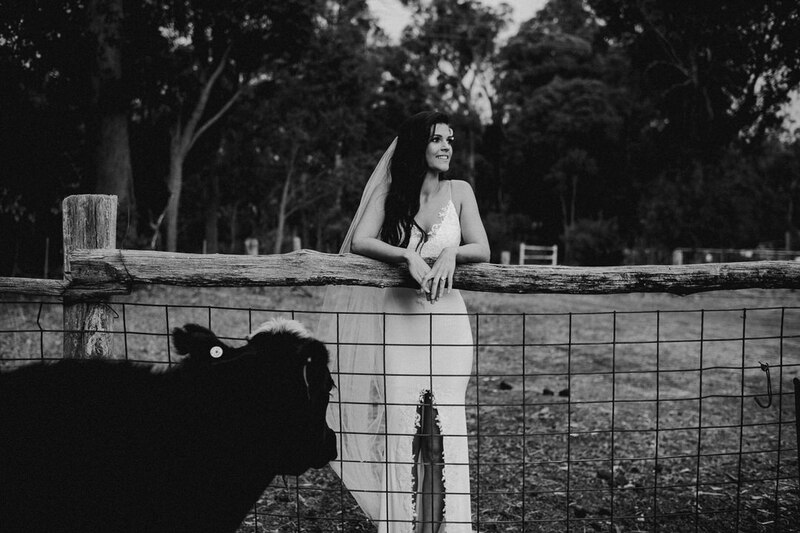 We have decided to get married on James’ family farm. 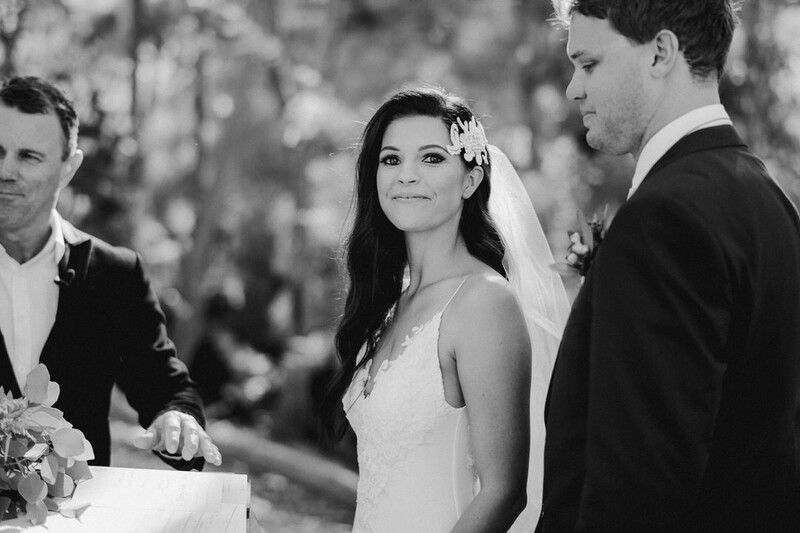 His dad passed when he was 5 and his gravesite is there, so it means a lot for us to get married there, with his dad a part of it. 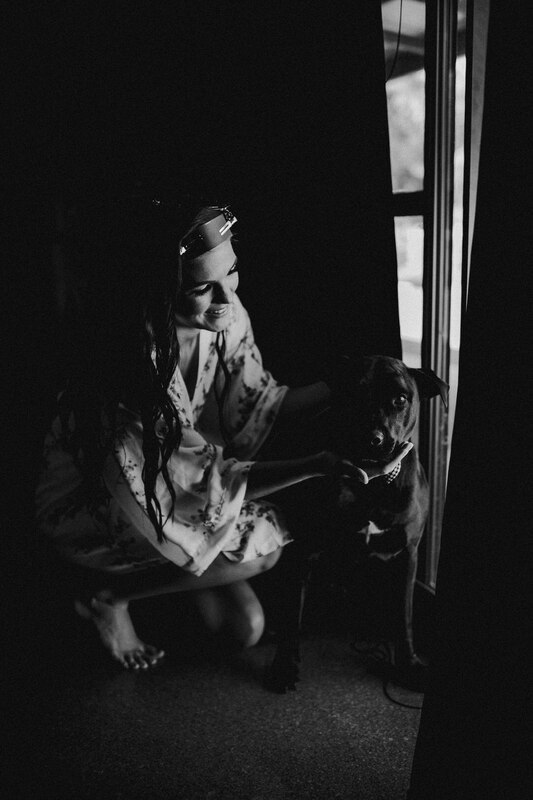 We are both personal individuals and don’t like a lot of fuss. 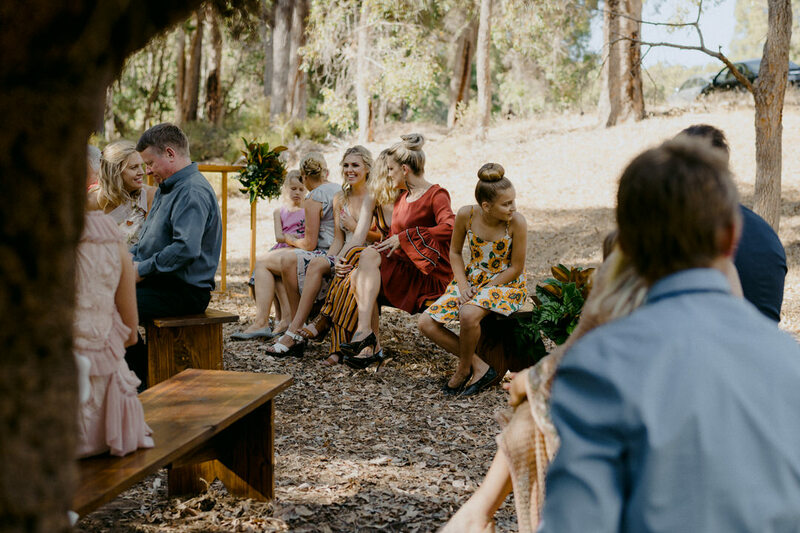 We are having an immediate family only (4 from my side, 17 from James’ side) style ceremony and then a big celebration afterward. 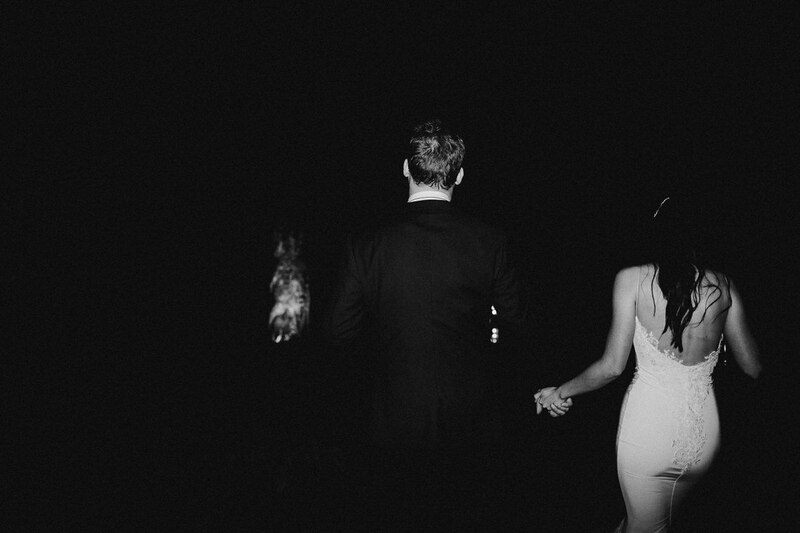 He got me right off guard.. walking the dog!! 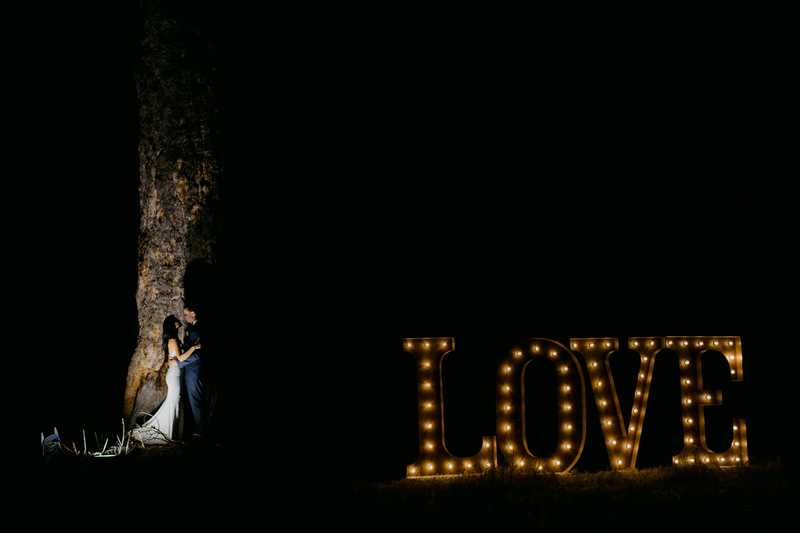 Totally unexpected but it was absolutely perfect. 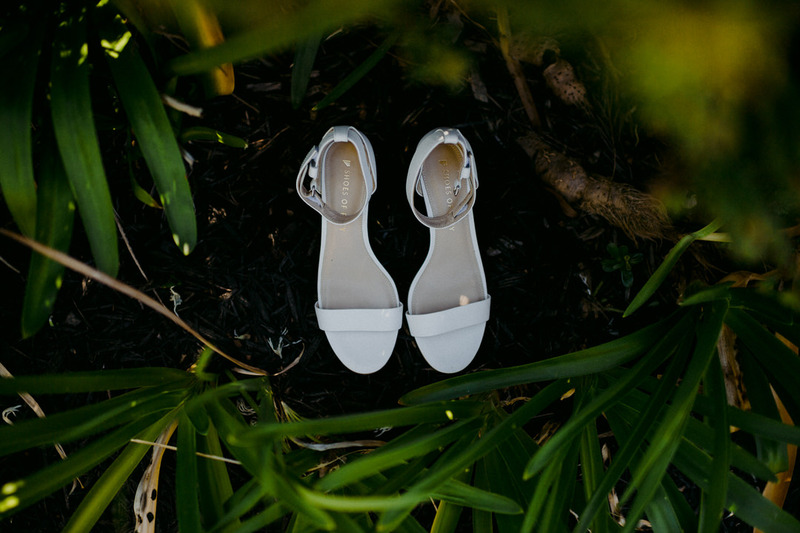 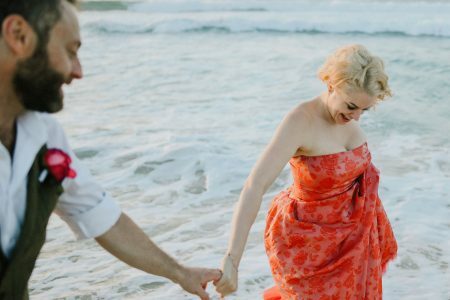 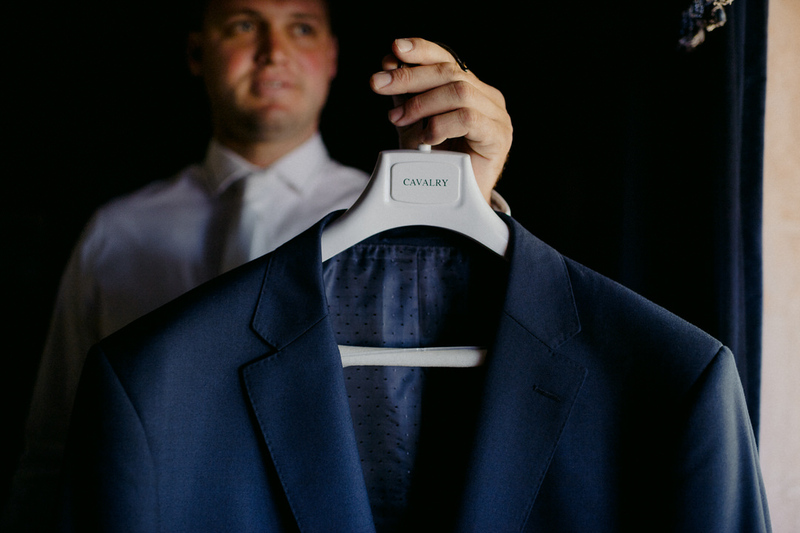 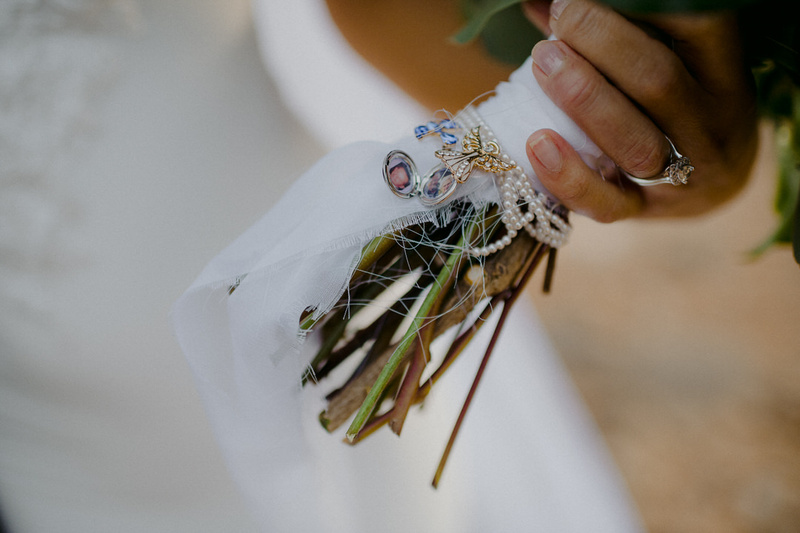 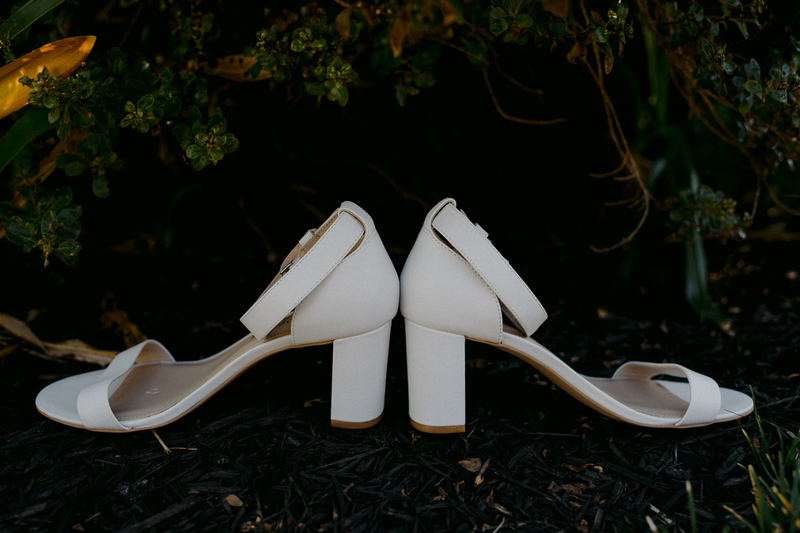 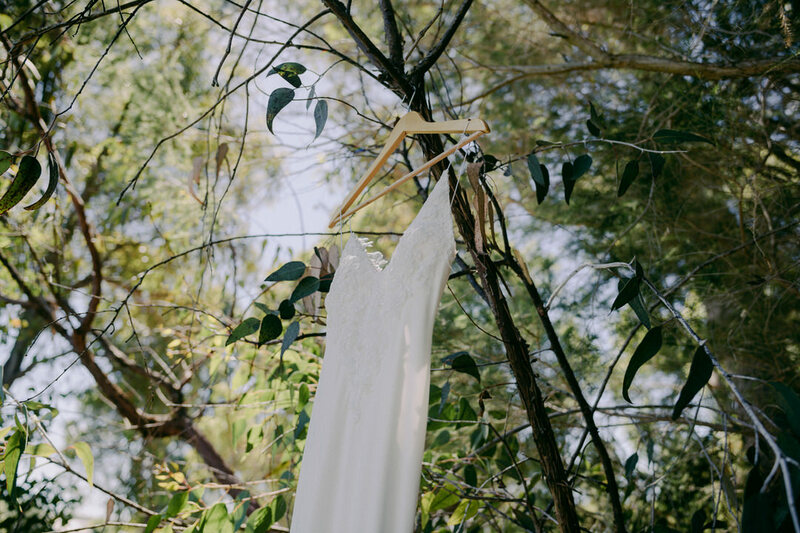 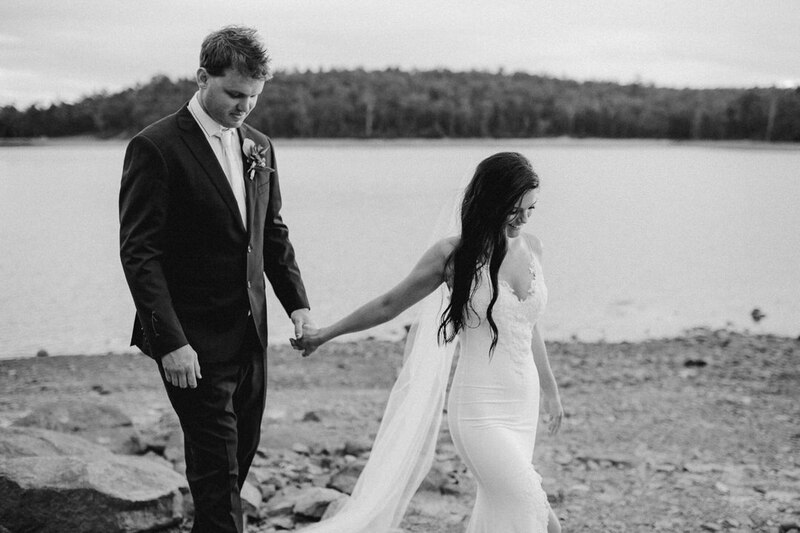 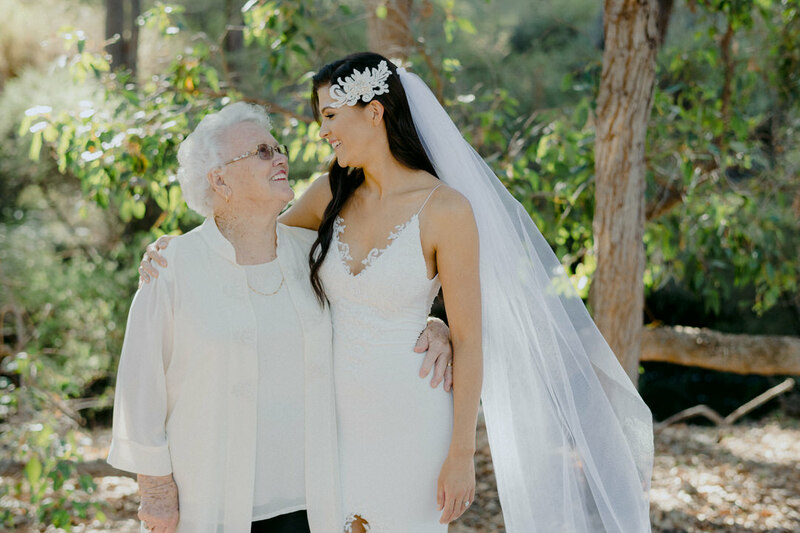 Where is your Bridal gown from?